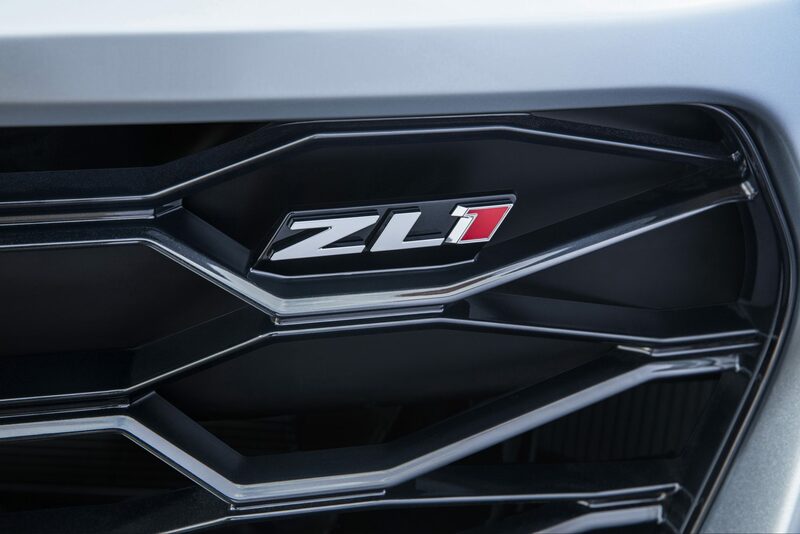 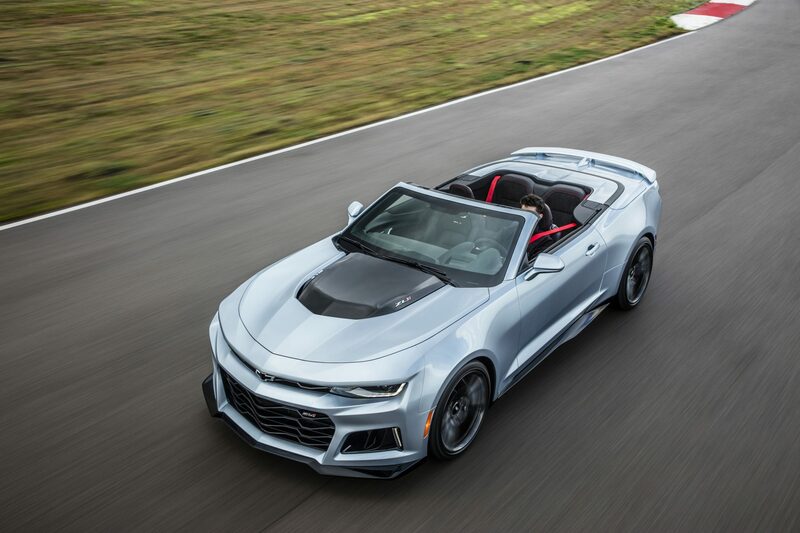 1LE handling and braking offered with V-6 power for the first time. 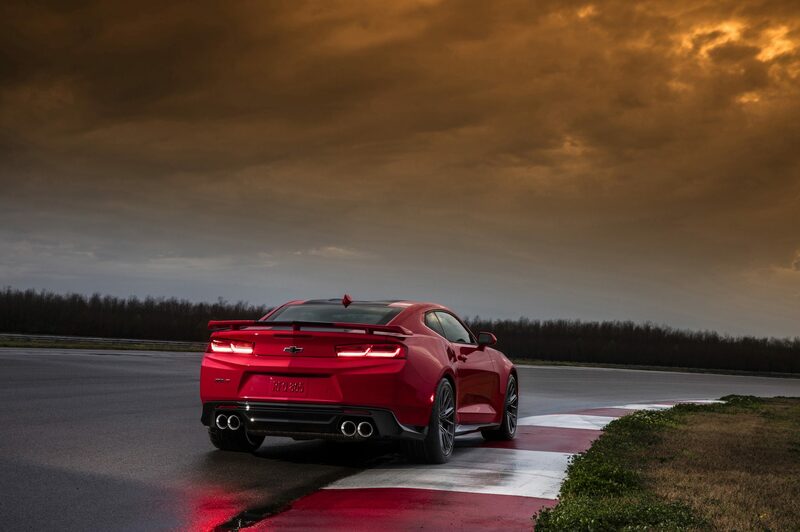 Attention all racetracks: Not one, but two new tire-scorching Camaros are on the way. 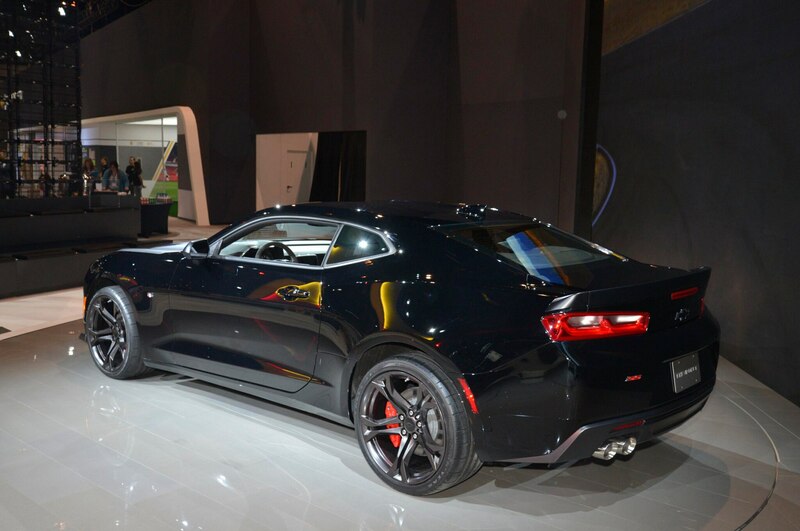 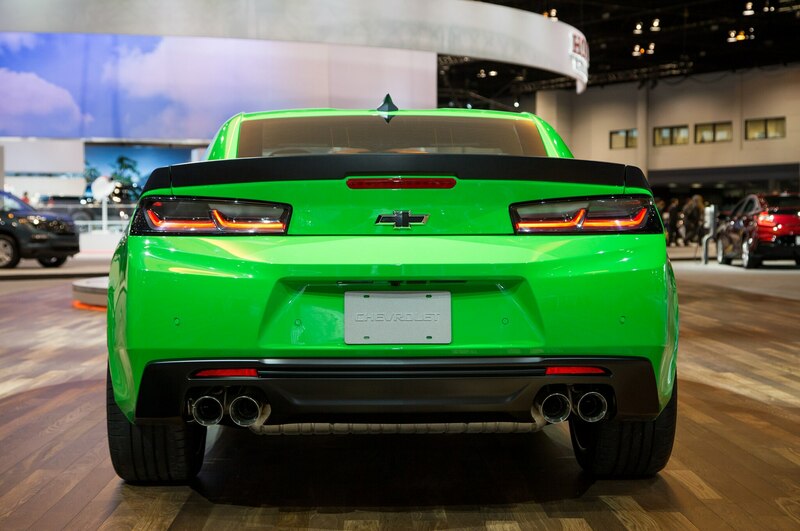 On top of the new 2017 Chevrolet Camaro SS 1LE, a new 1LE package for the Camaro V-6 joins the muscle-car lineup for the Chicago auto show. 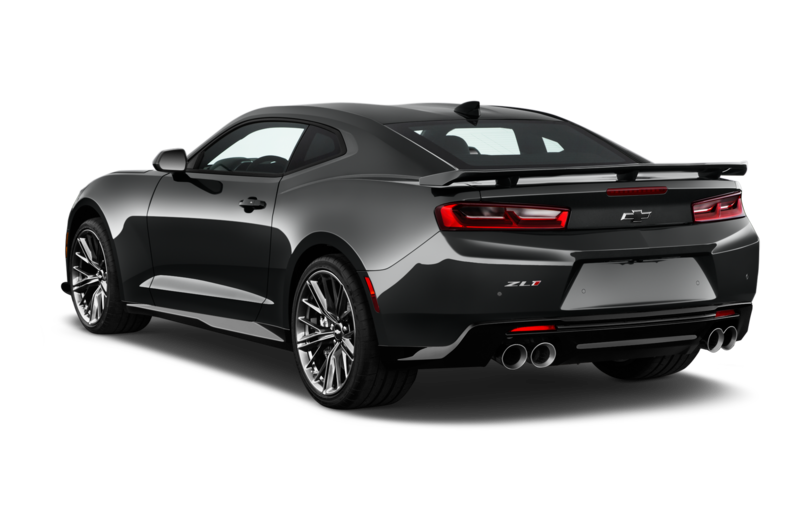 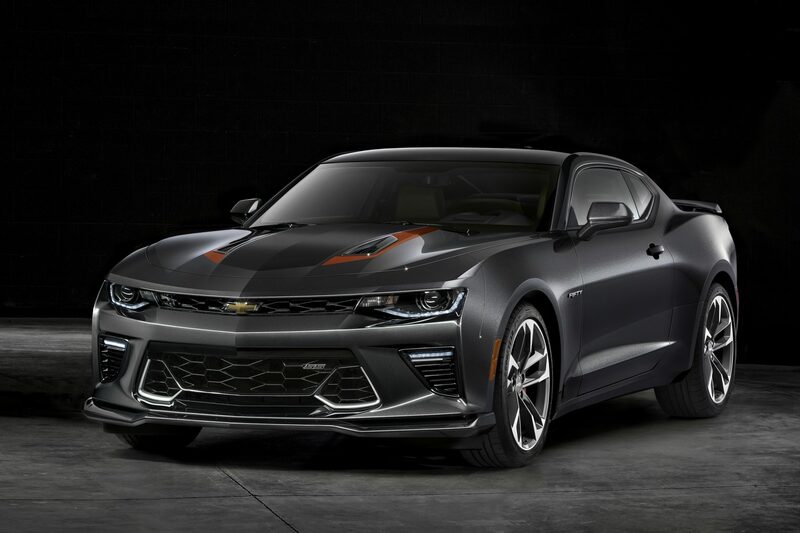 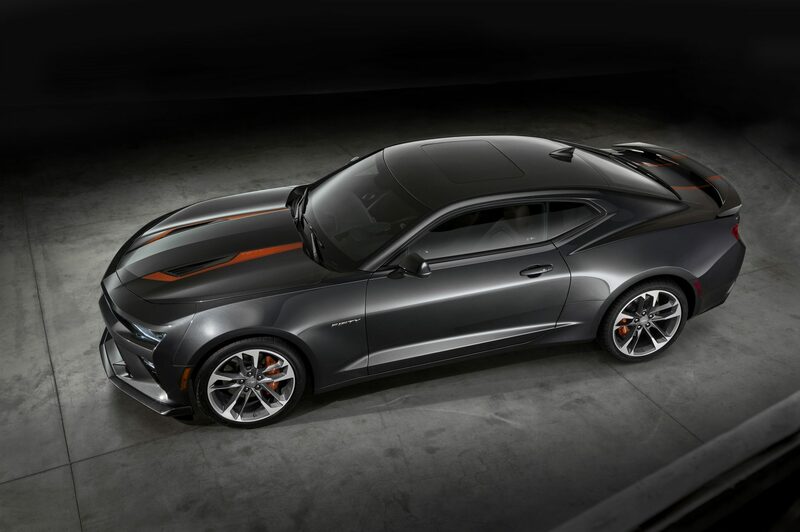 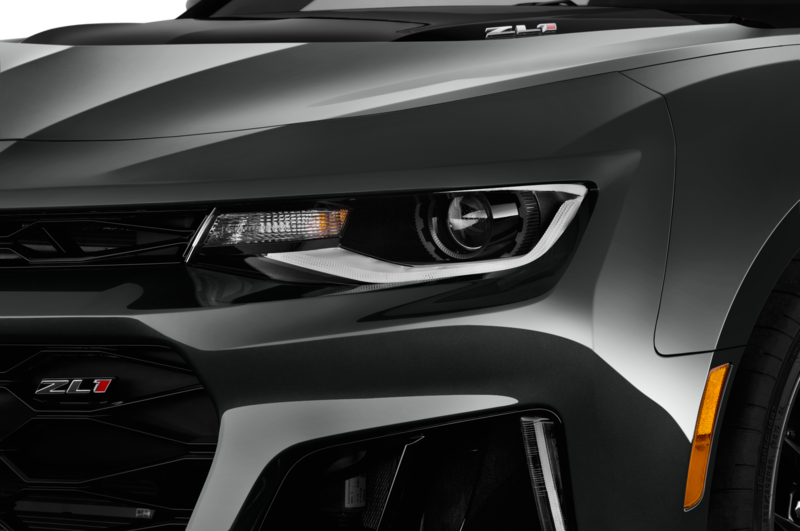 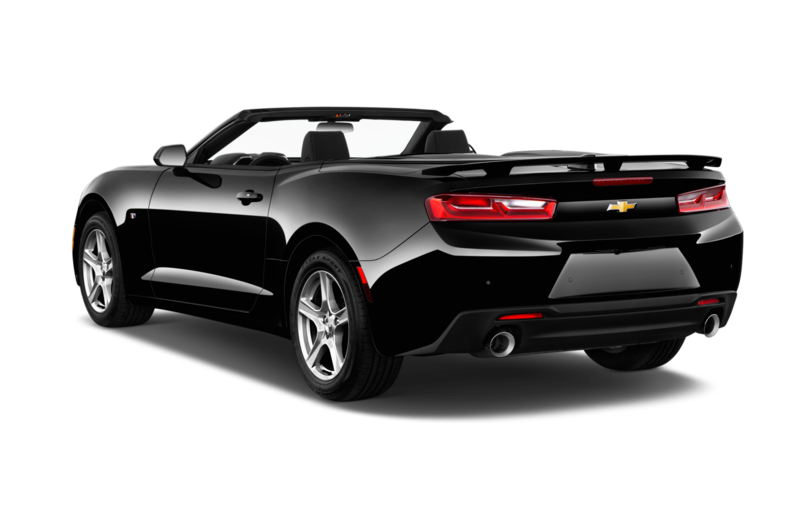 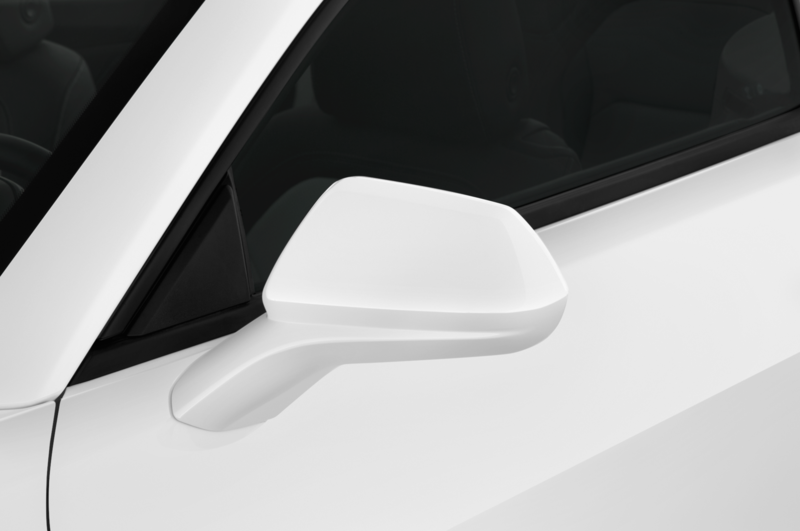 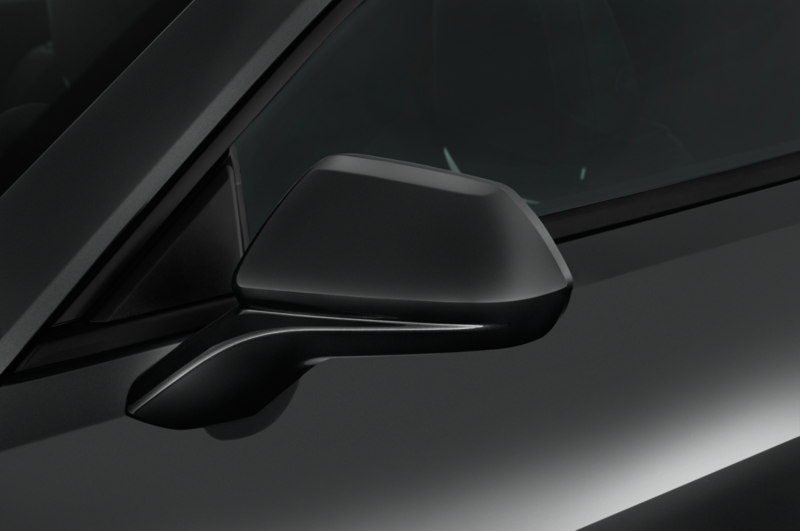 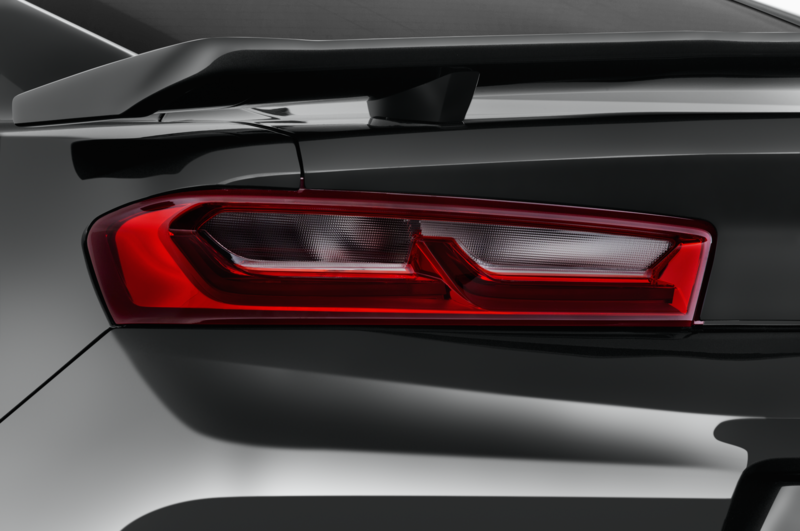 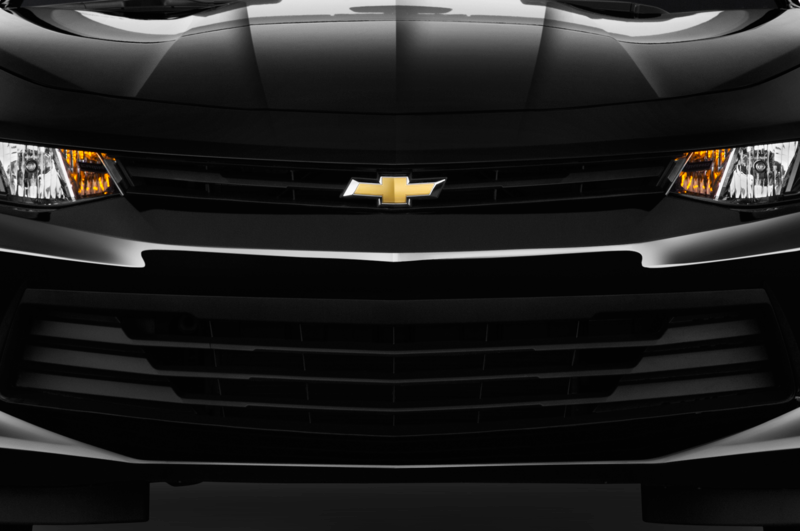 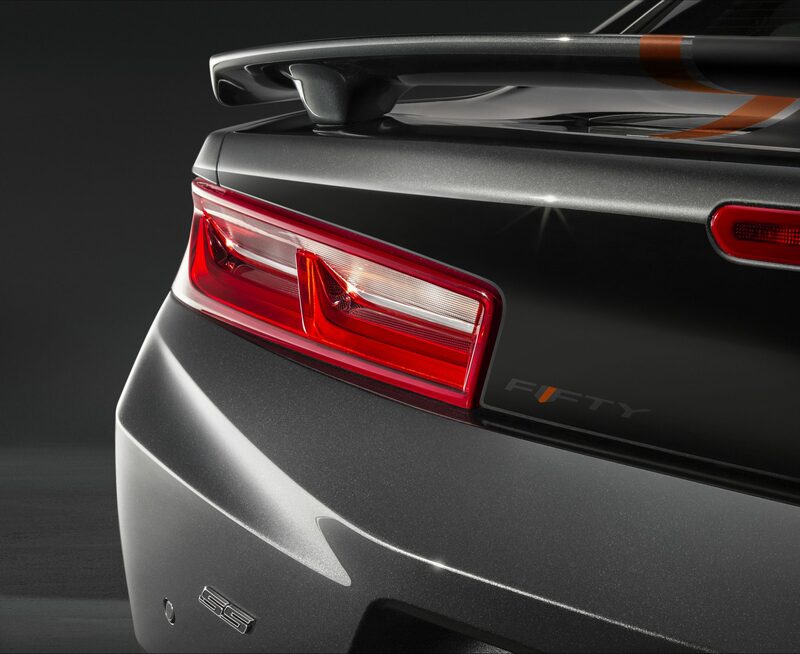 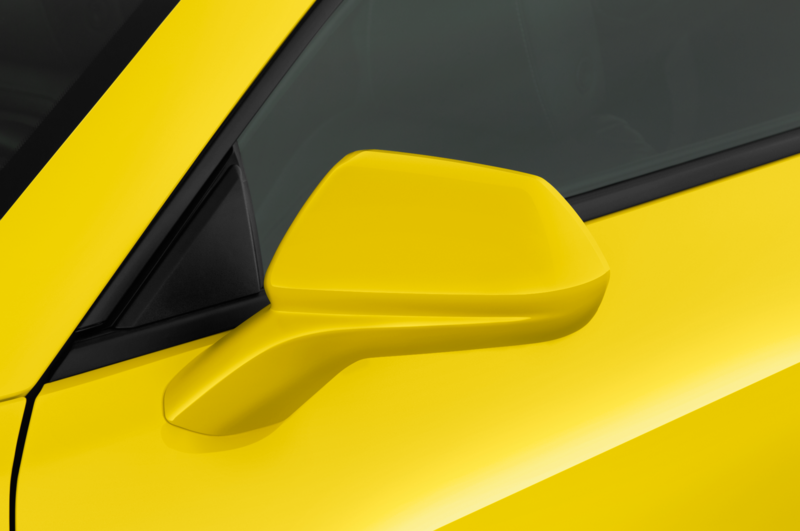 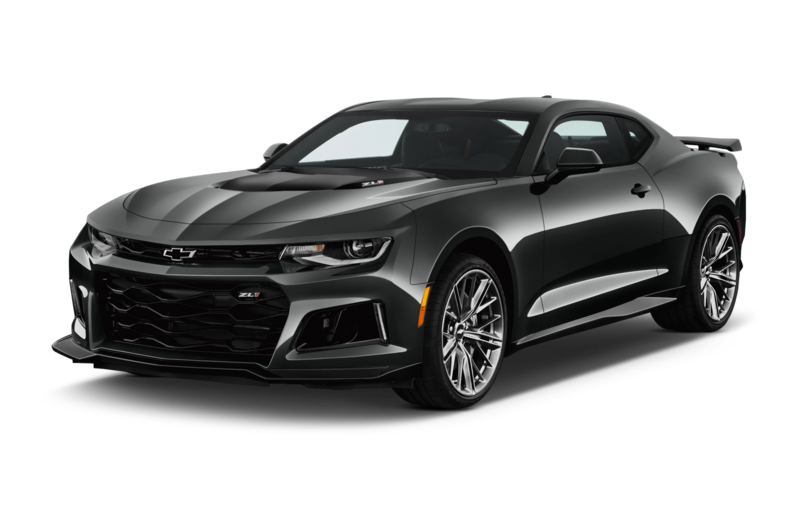 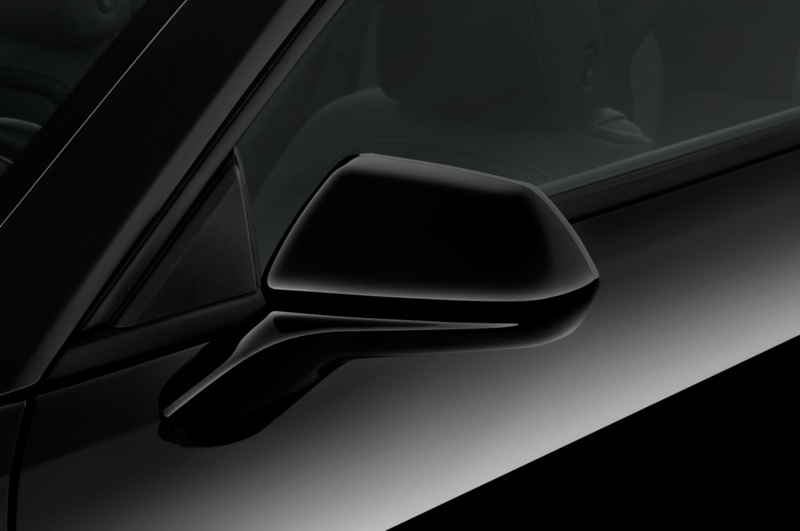 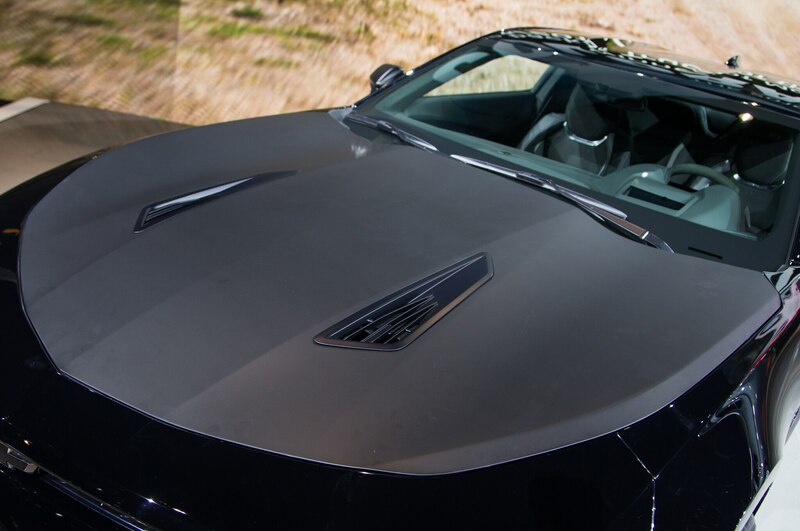 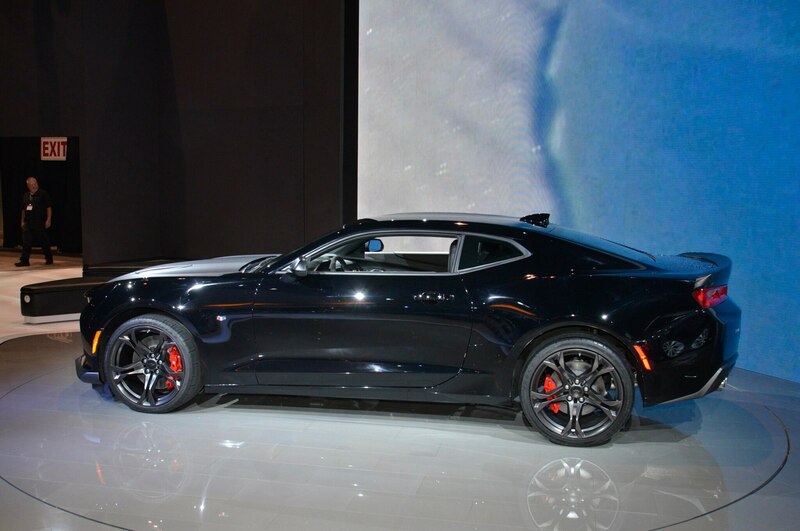 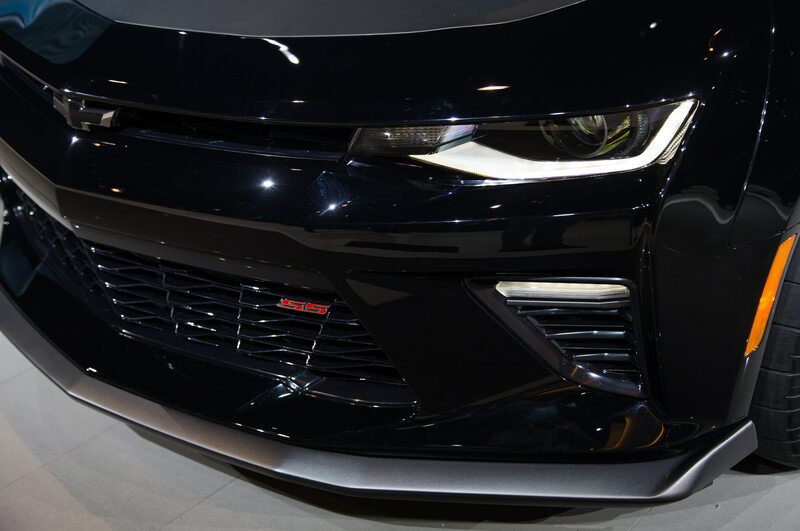 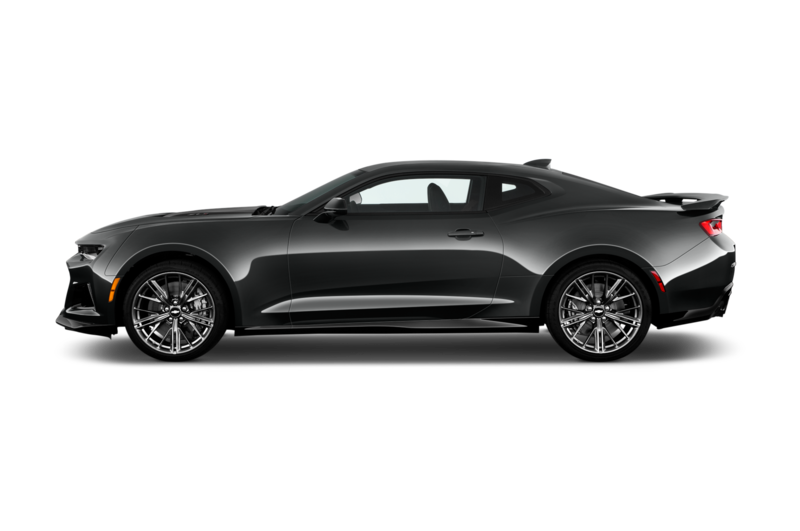 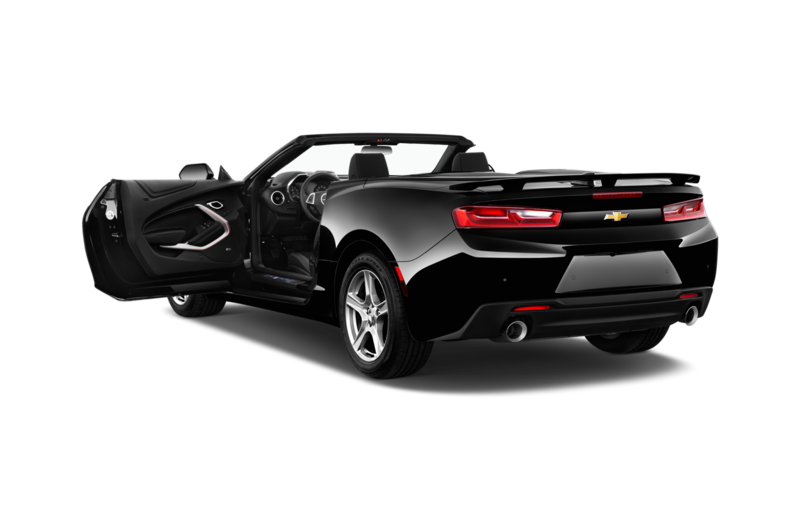 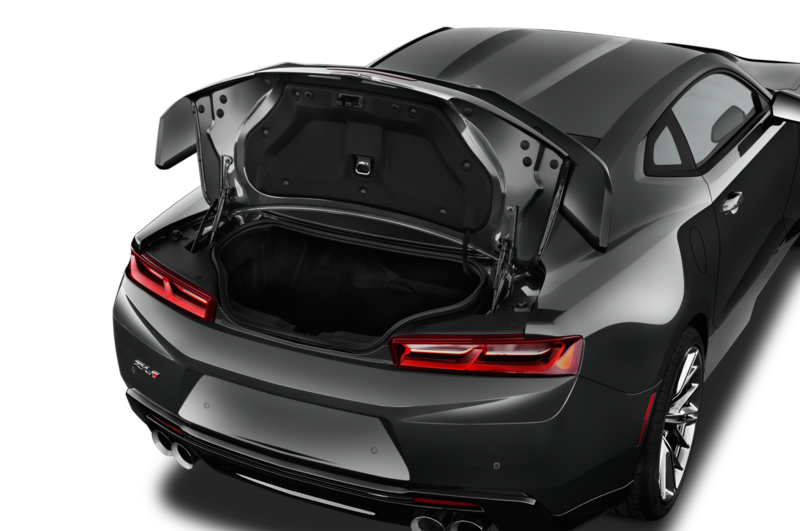 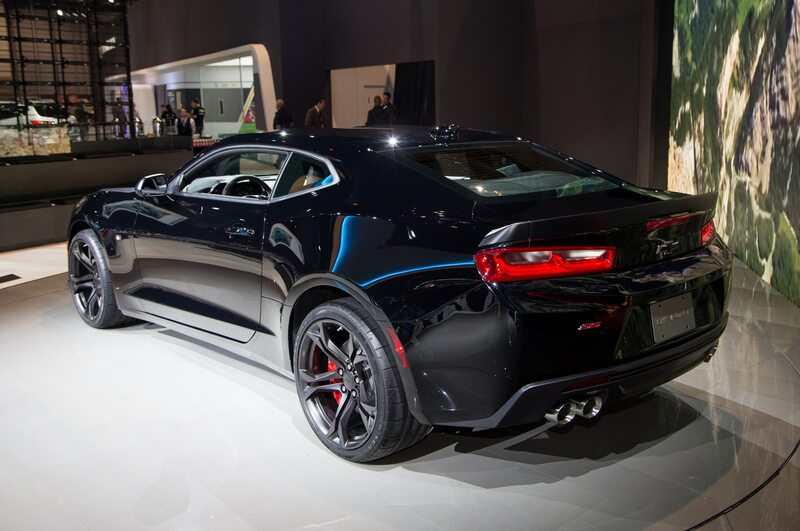 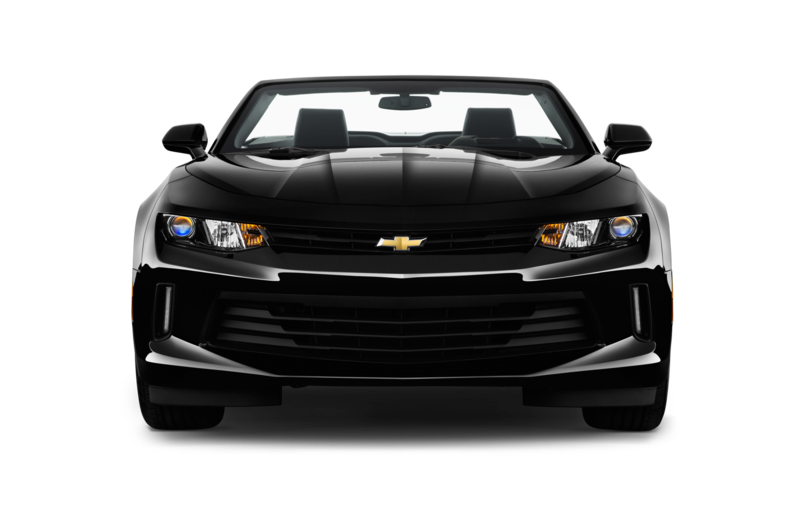 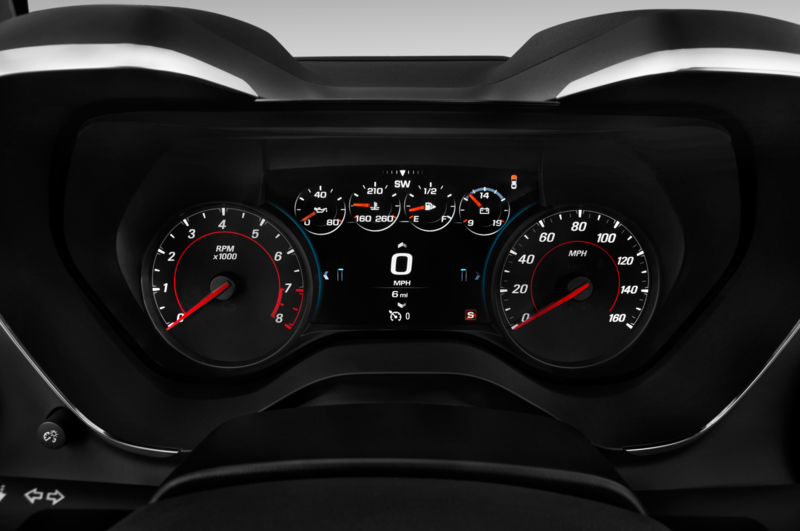 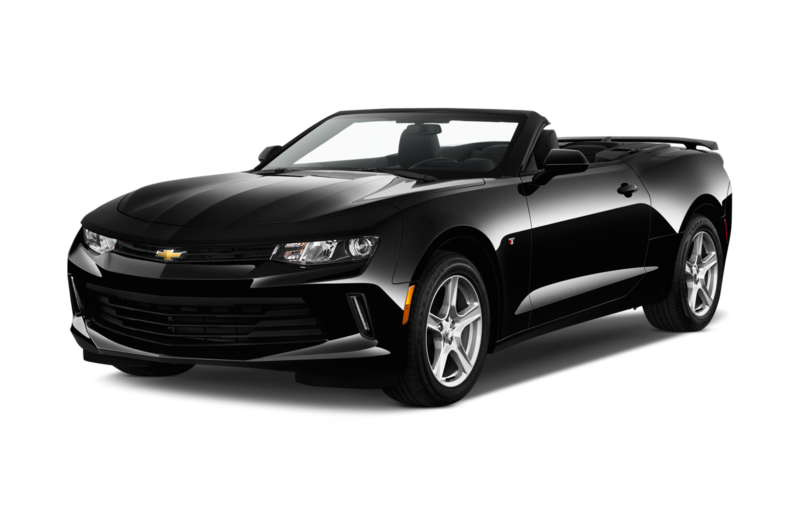 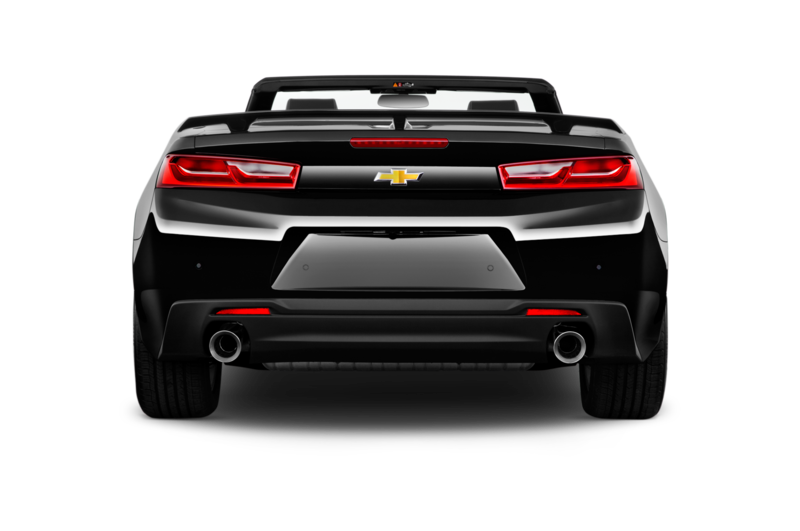 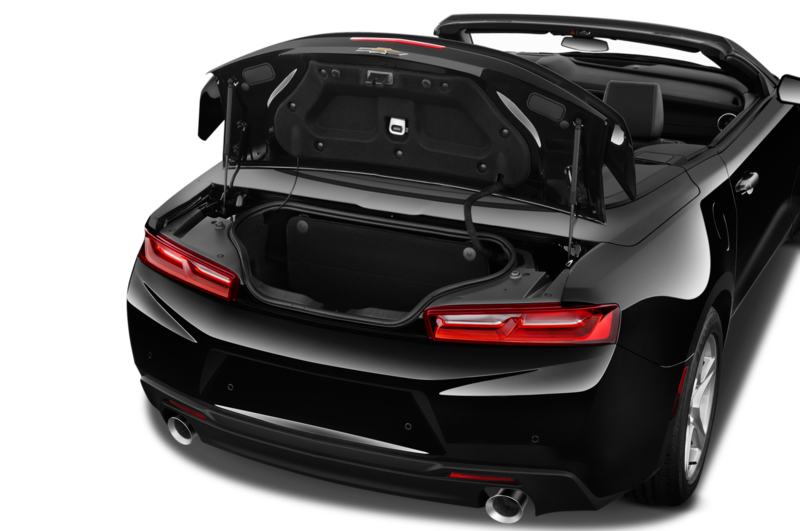 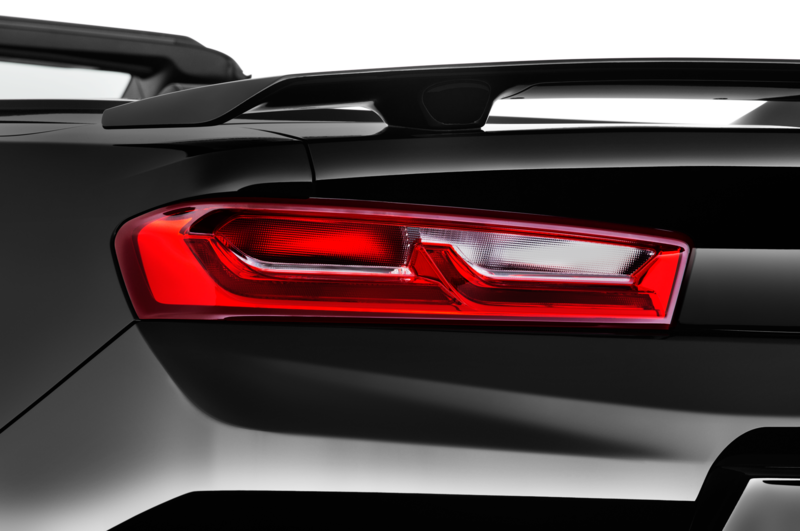 Both 2017 Chevrolet Camaro 1LE models carry on the visual traditions of the previous 1LE, with a distinctive black front fascia, a satin black wrapped hood, and a three-piece rear spoiler for significantly increased downforce. 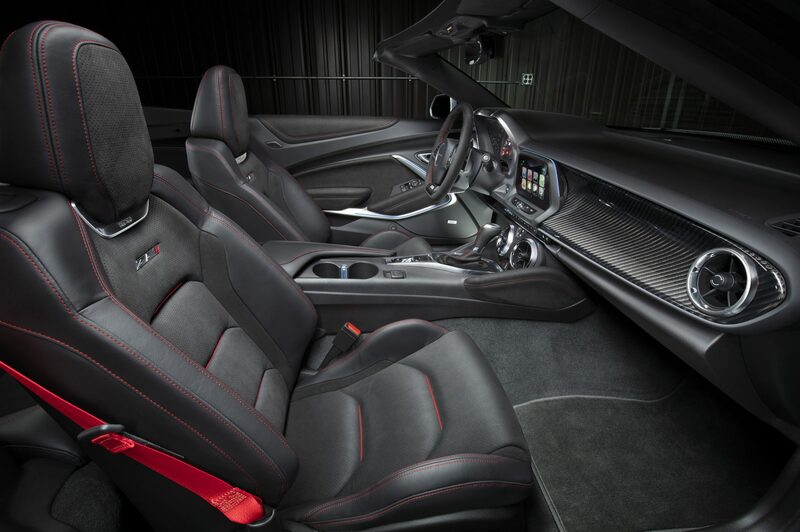 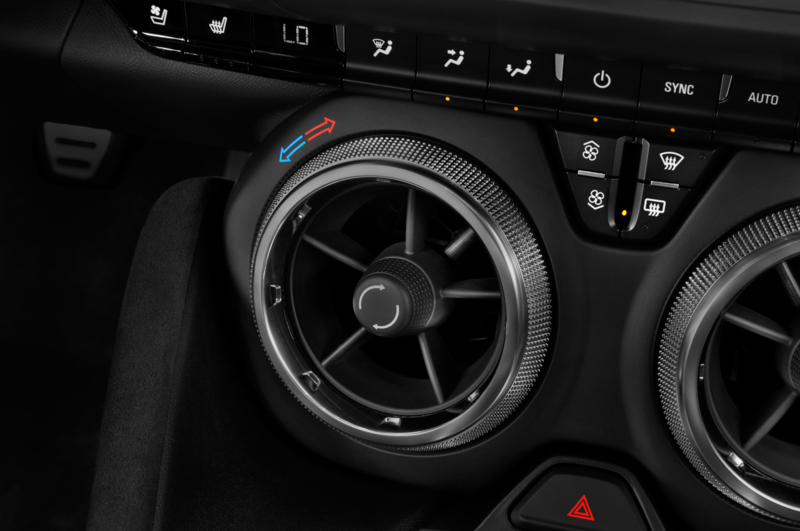 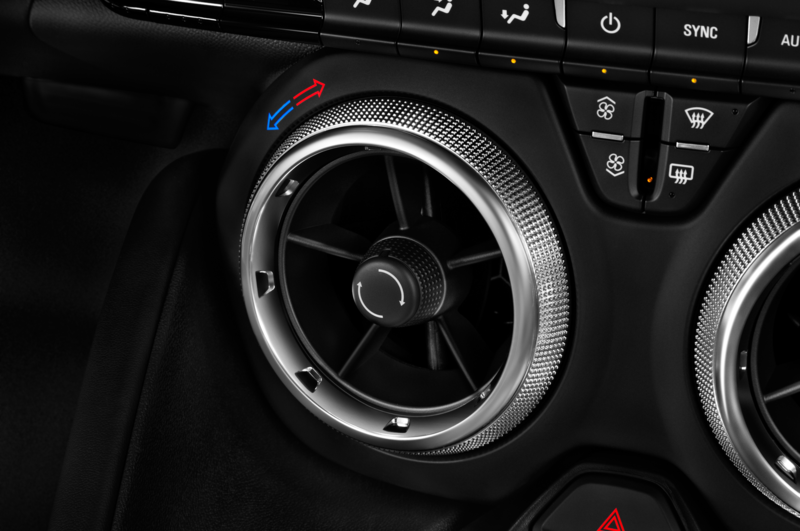 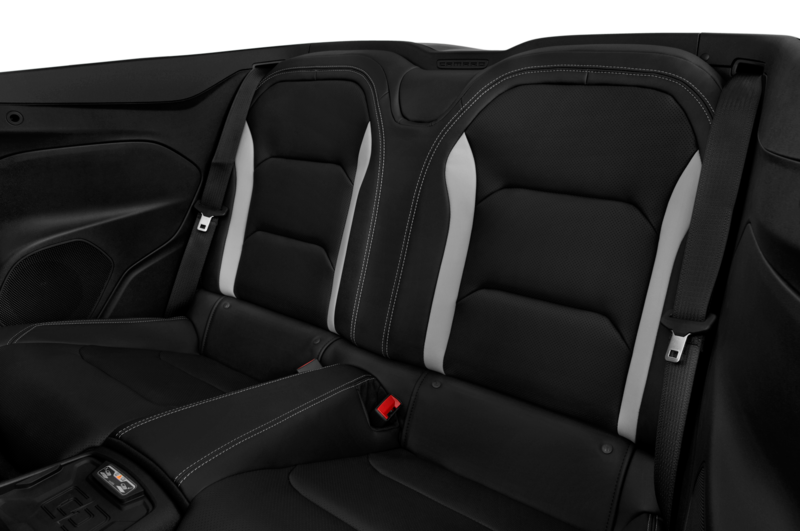 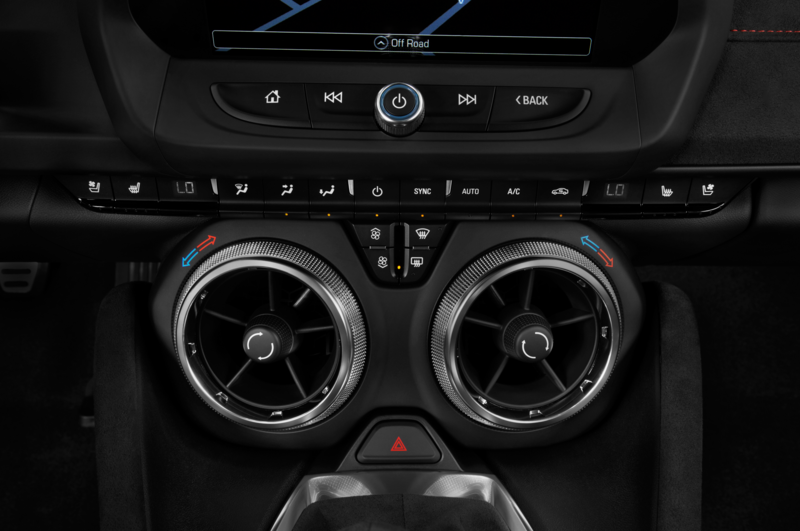 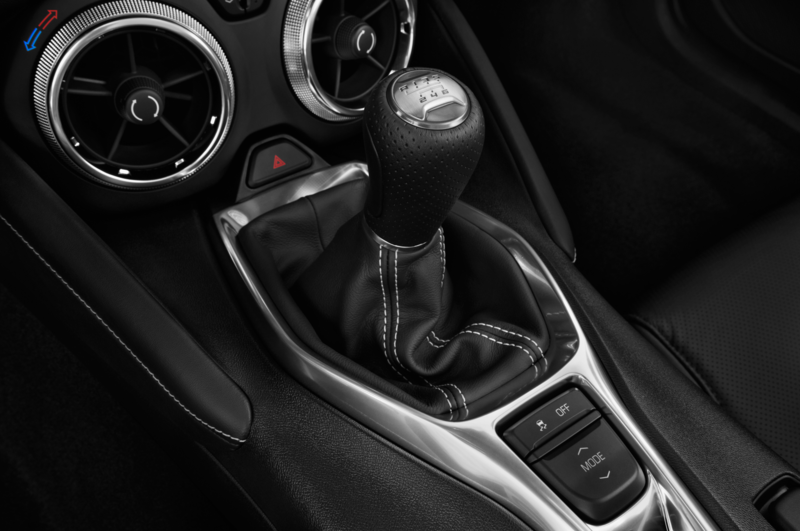 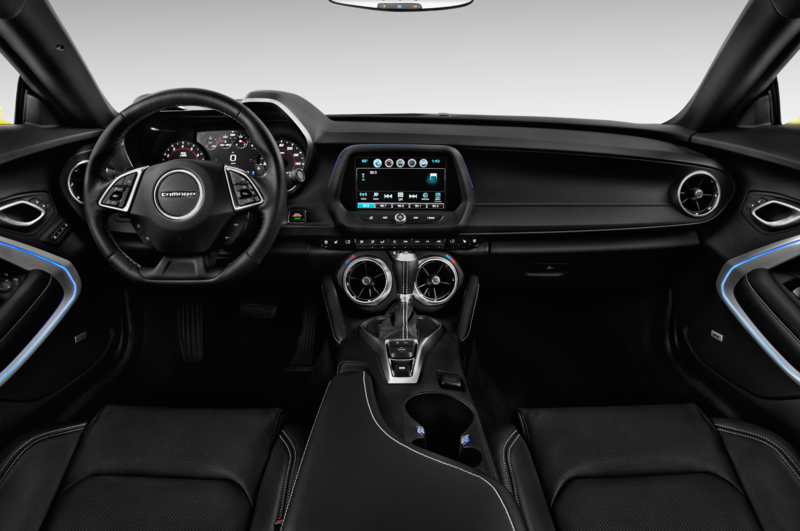 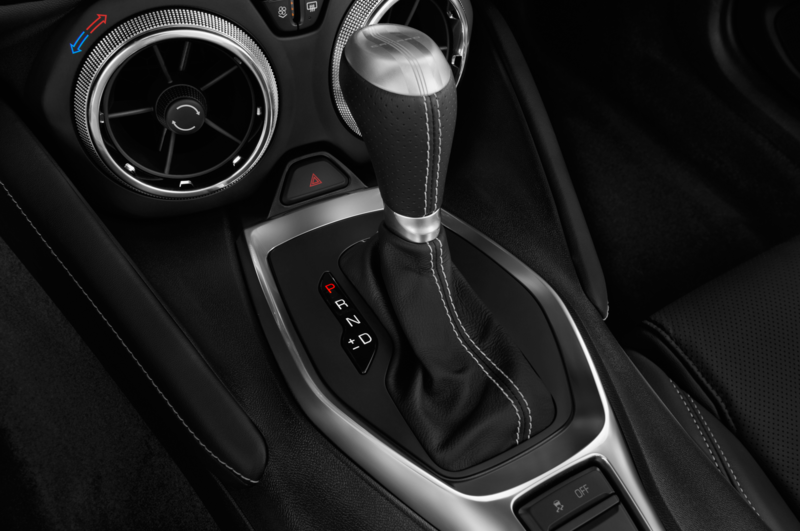 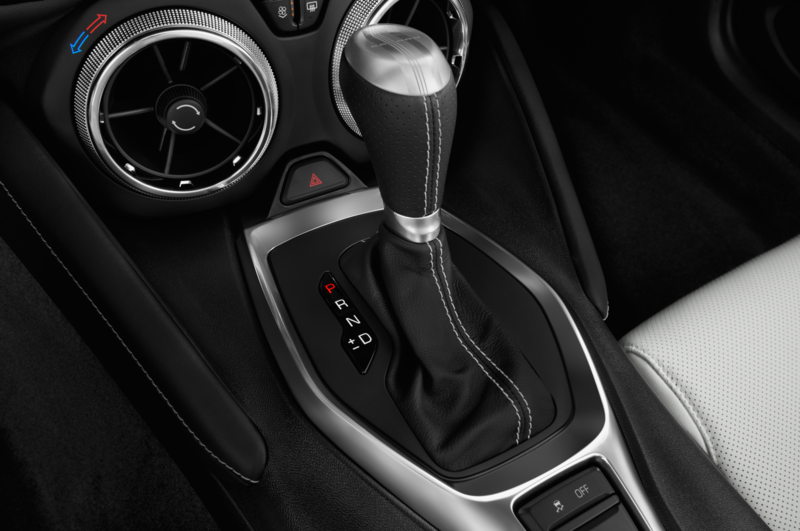 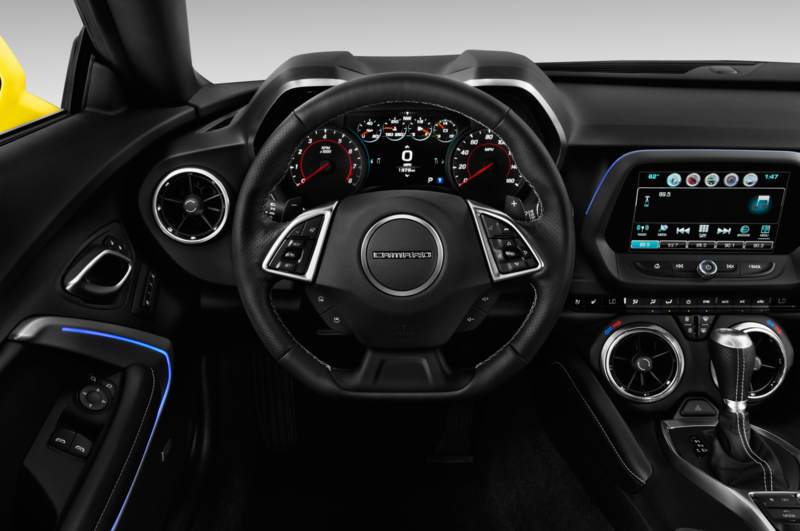 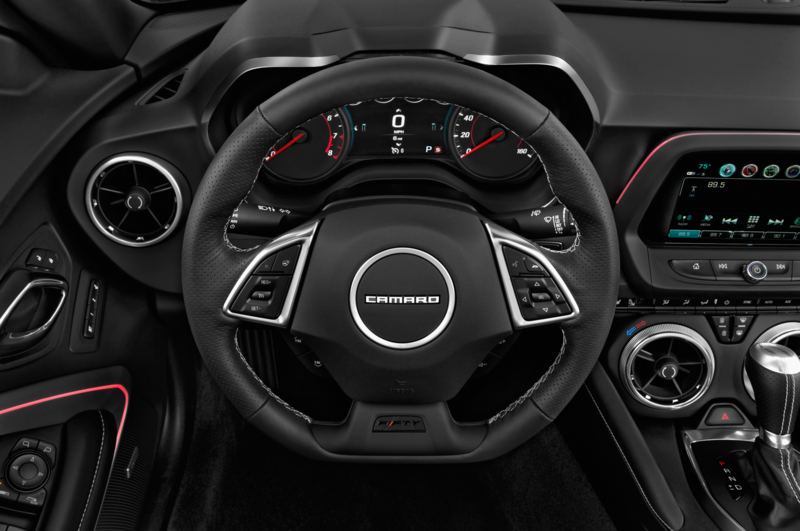 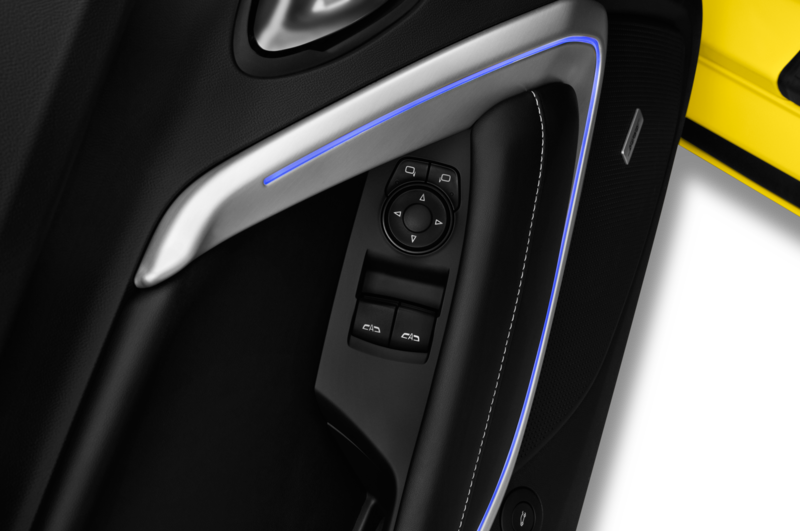 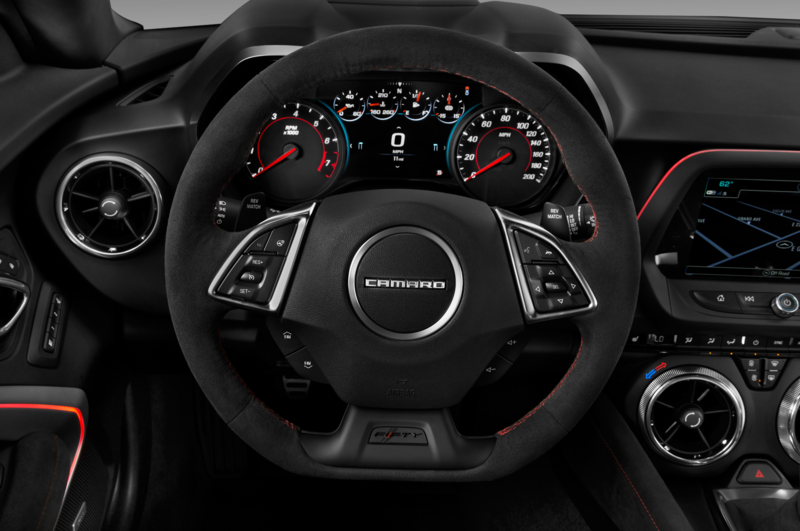 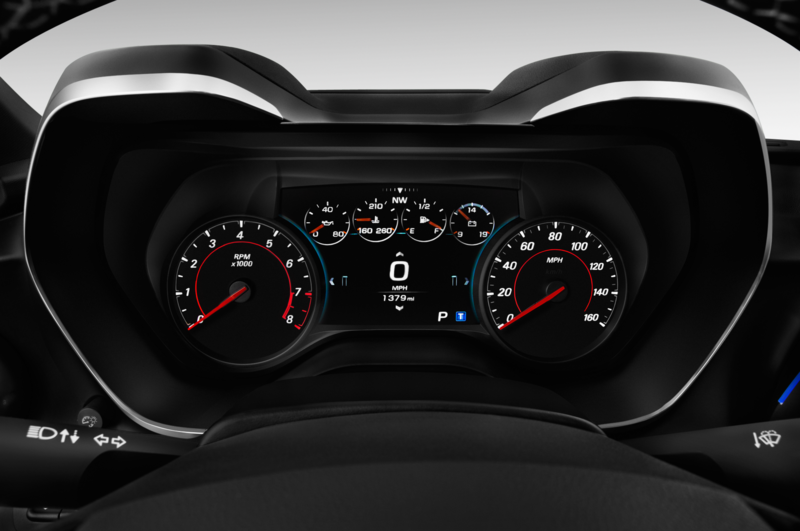 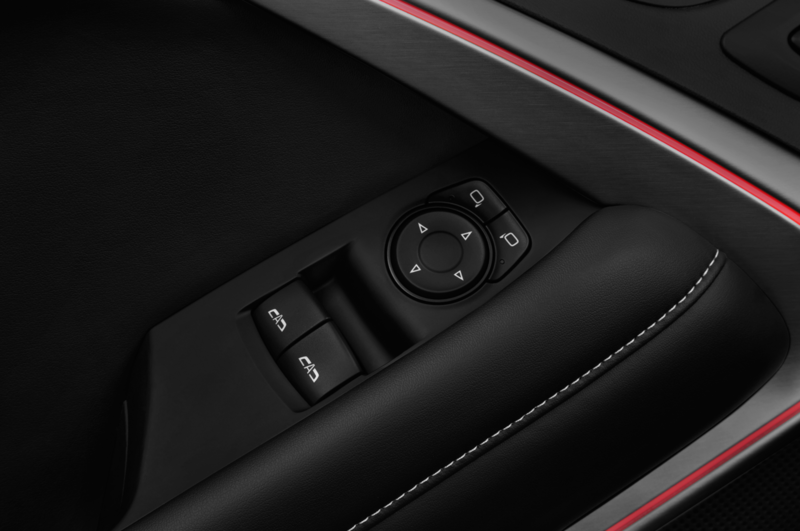 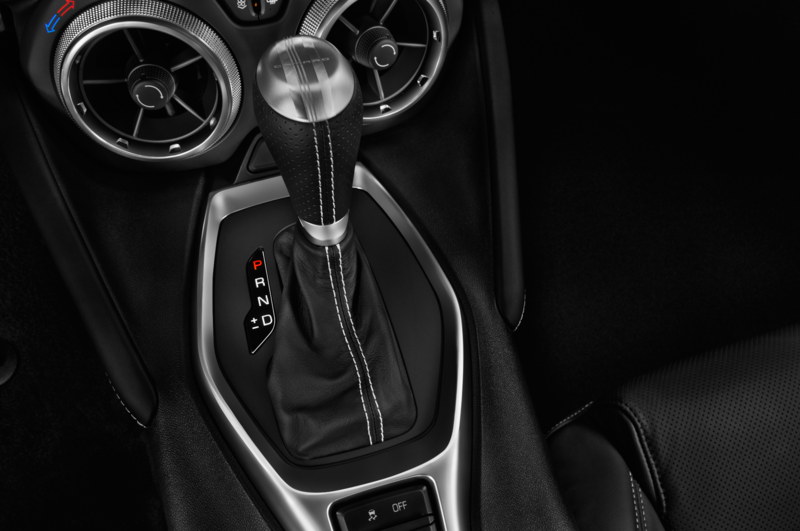 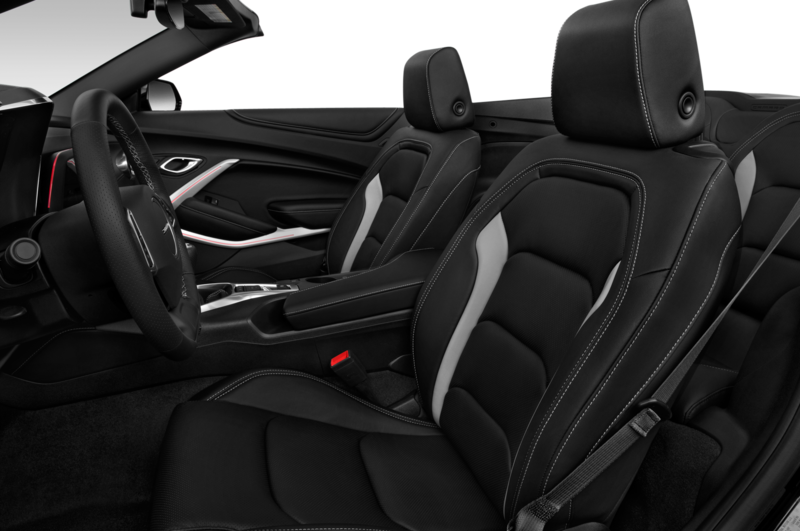 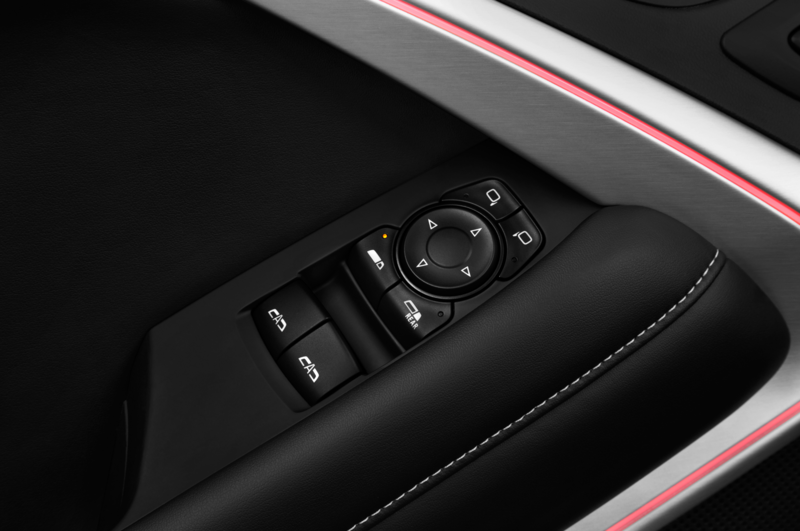 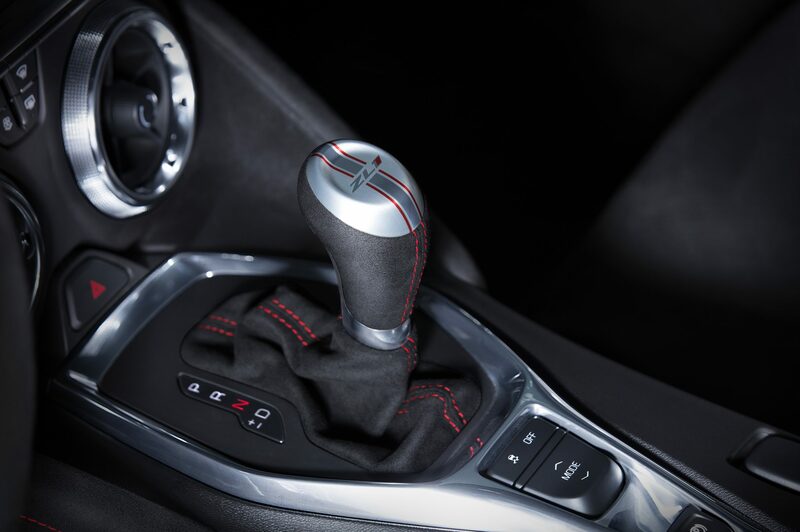 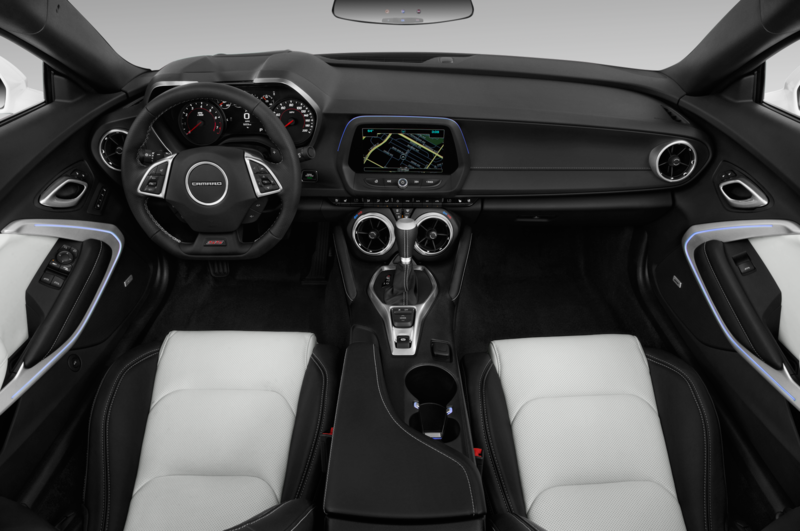 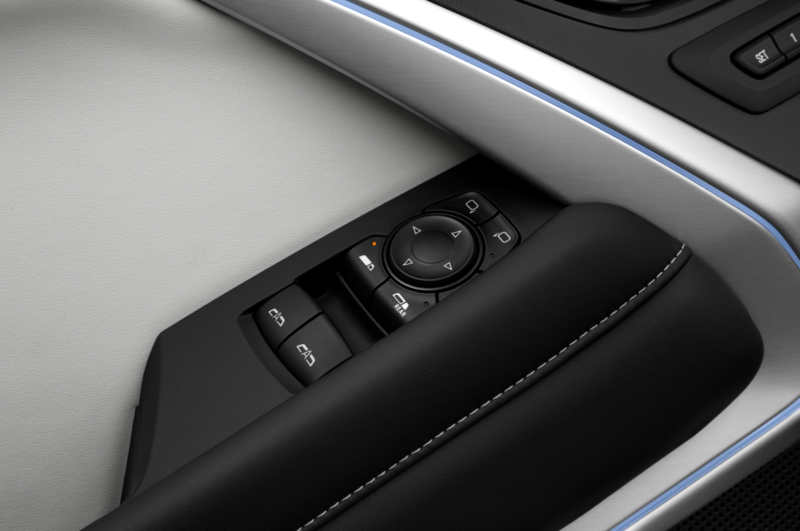 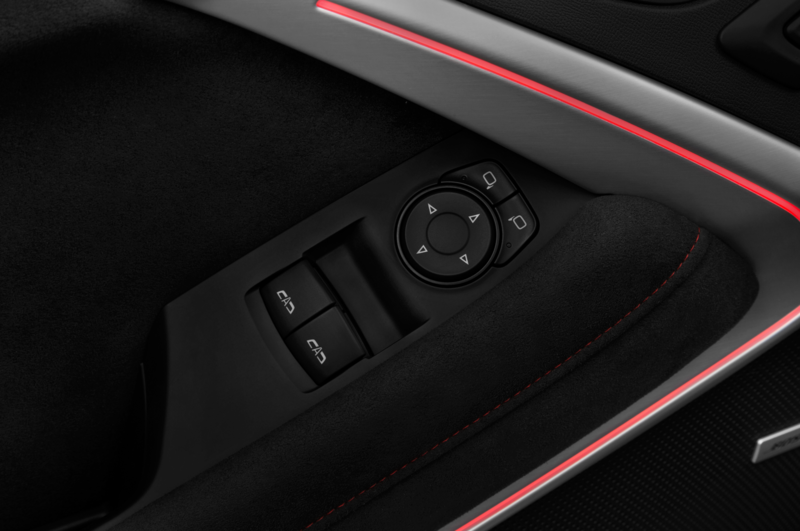 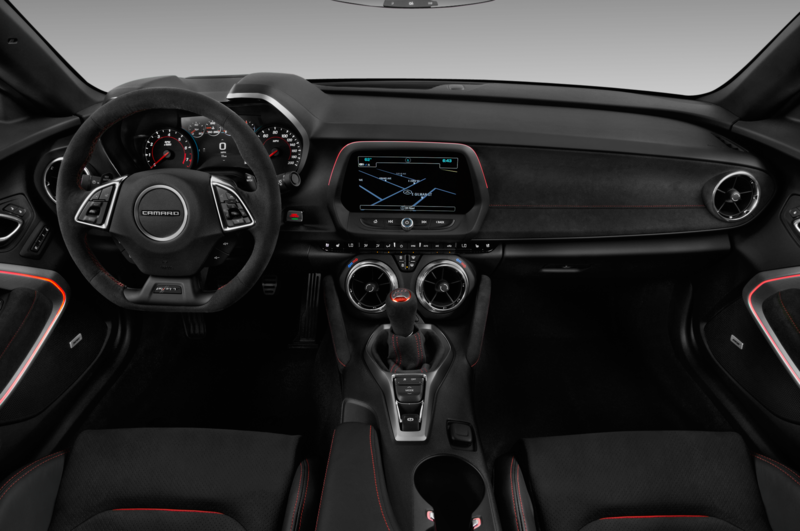 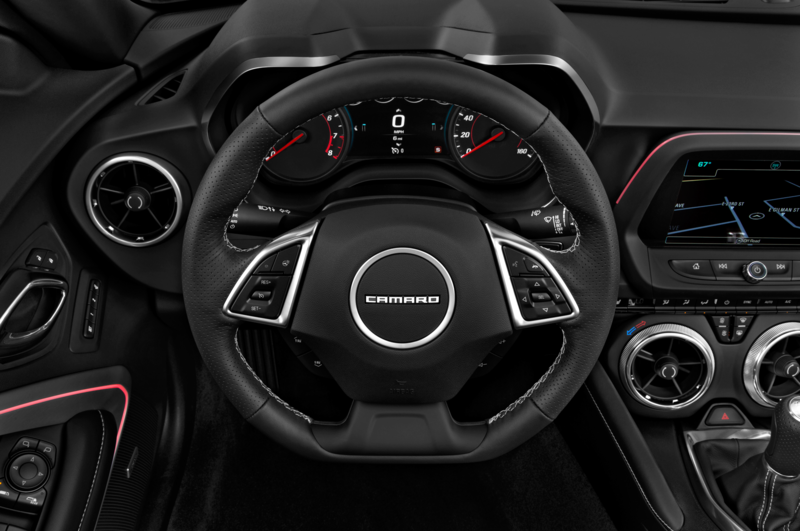 Inside you’ll find a black interior with a microfiber suede steering wheel, shift knob, and shift boot, along with an available Performance Data Recorder to save all of your track stats. 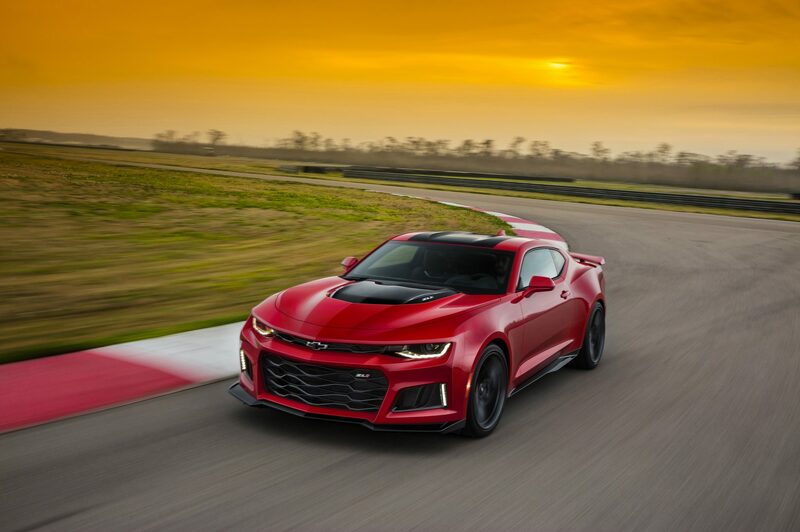 The high-performance Camaro club’s newest recruit, the 2017 Chevrolet Camaro 1LE V-6, is a potent package even without the SS’s meaty V-8. 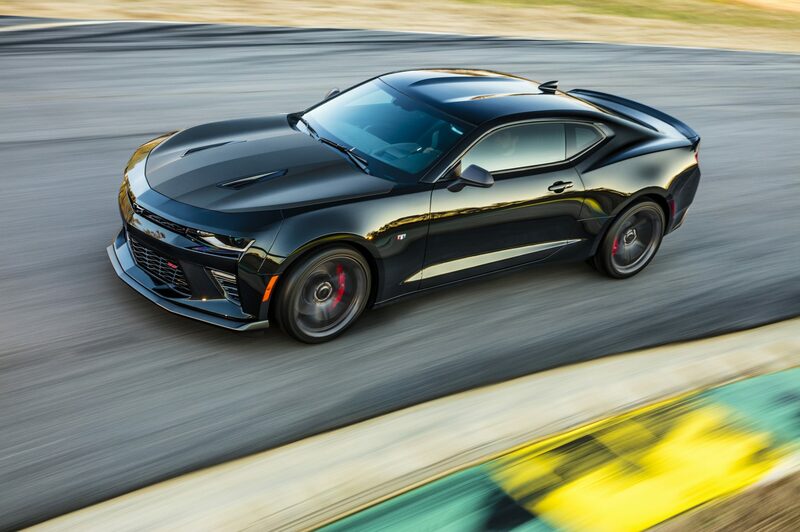 The 335-hp, 3.6-liter V-6 mates exclusively with a six-speed manual transmission — two-pedal posers need not apply. 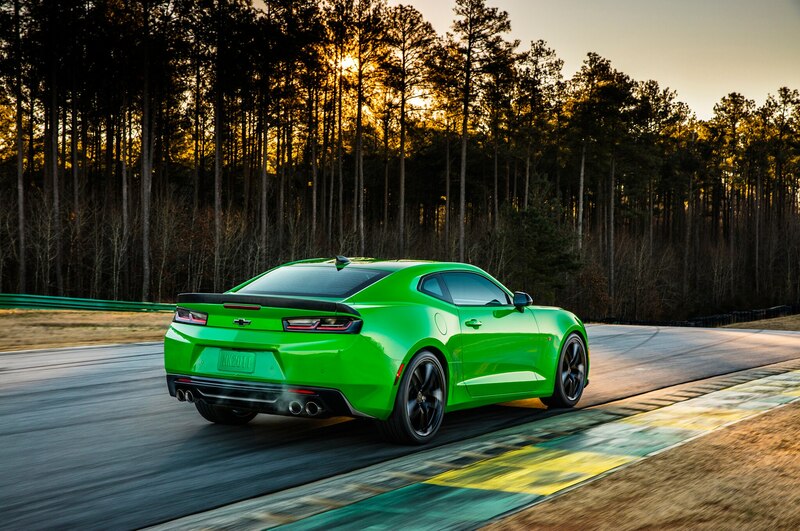 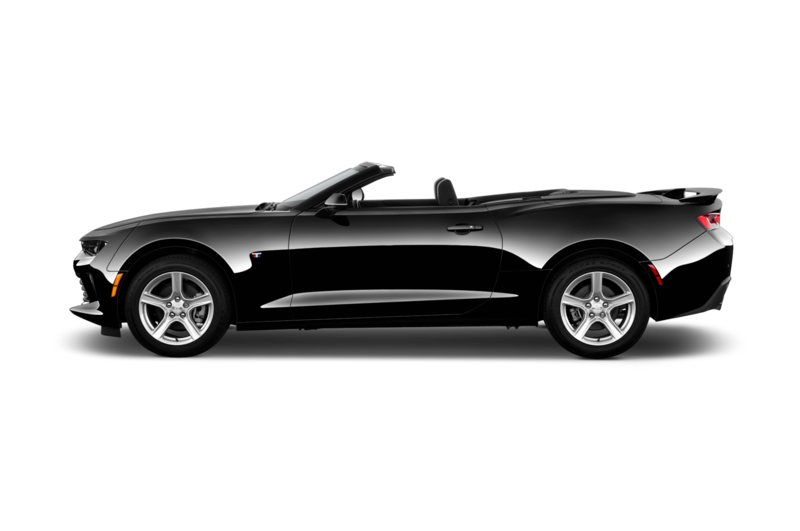 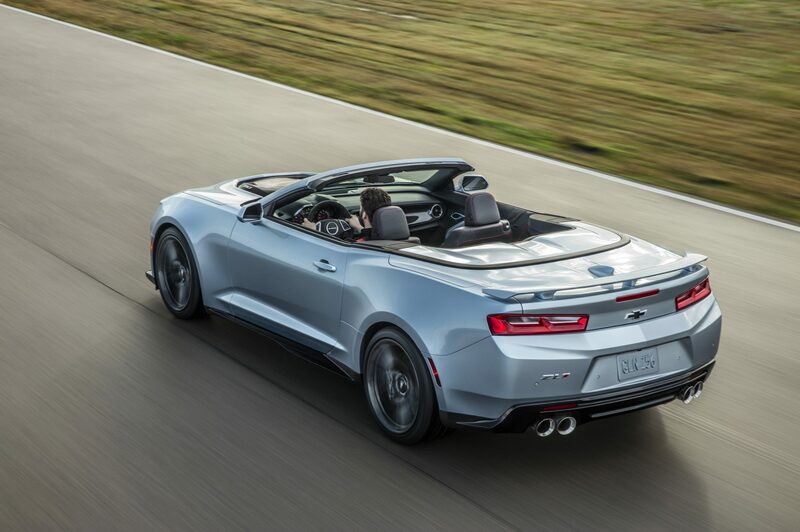 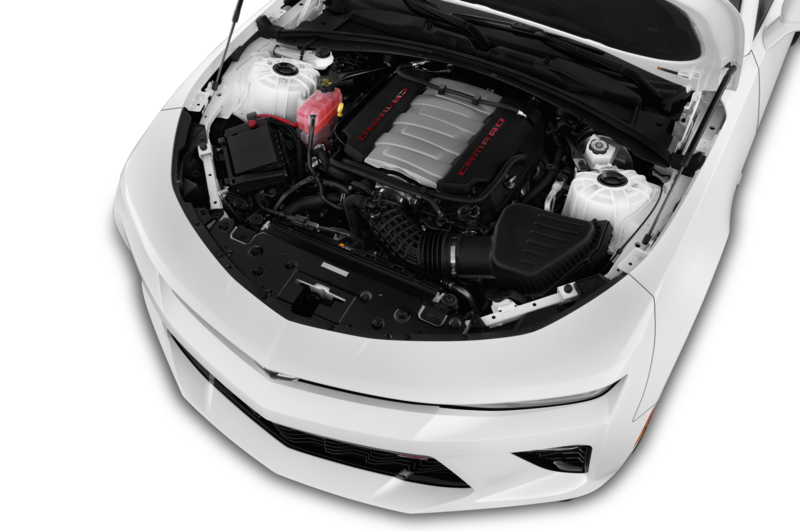 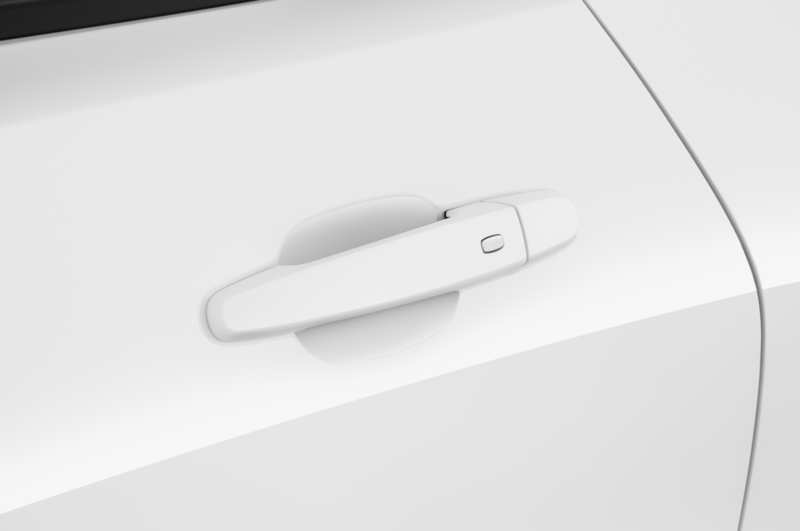 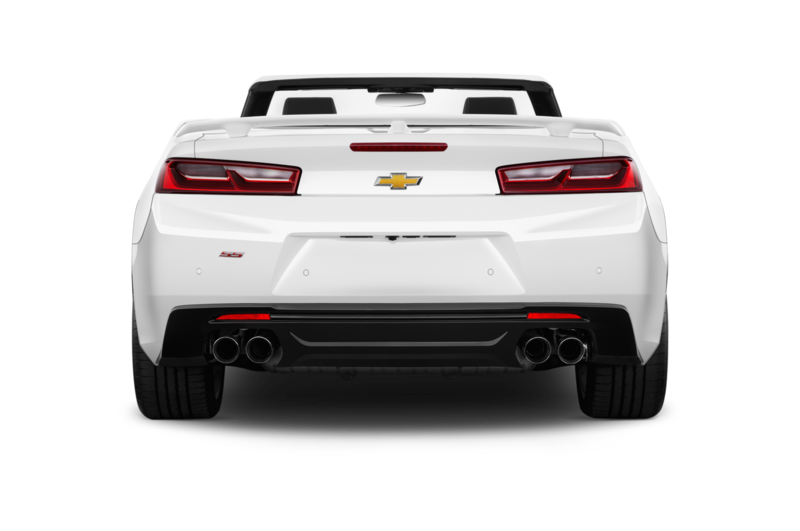 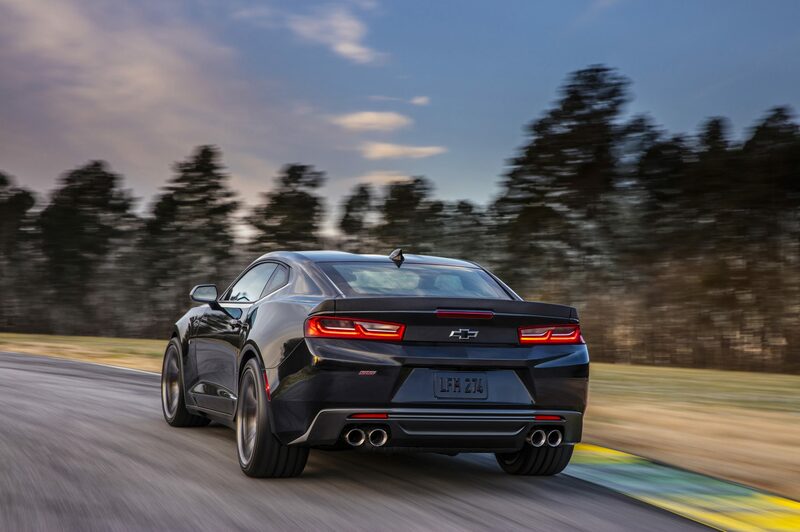 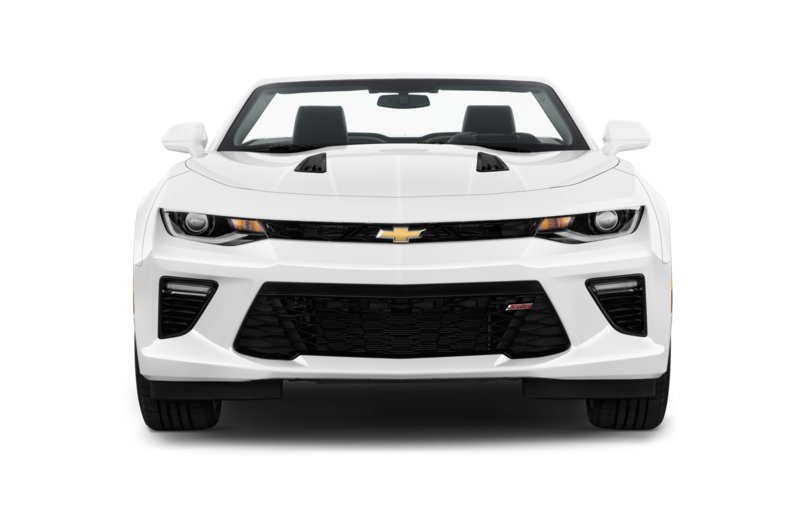 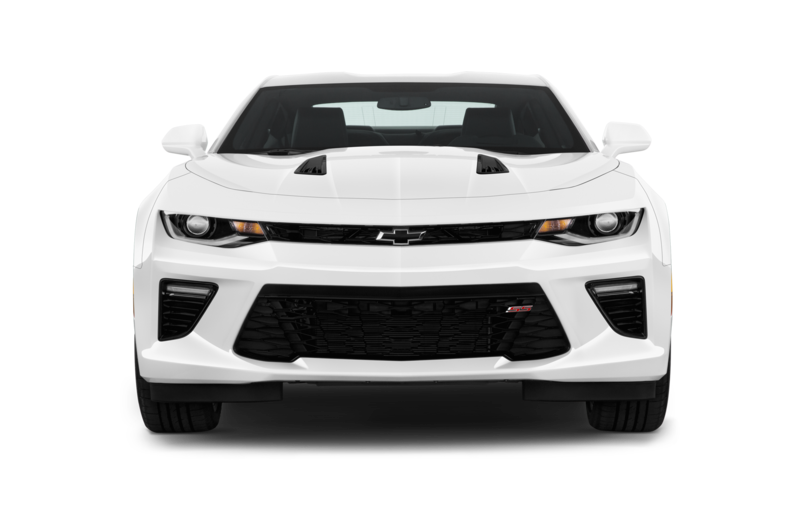 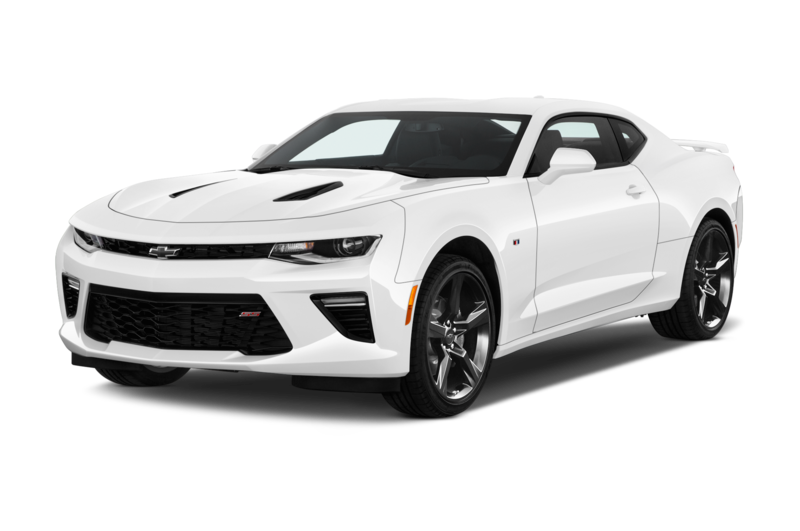 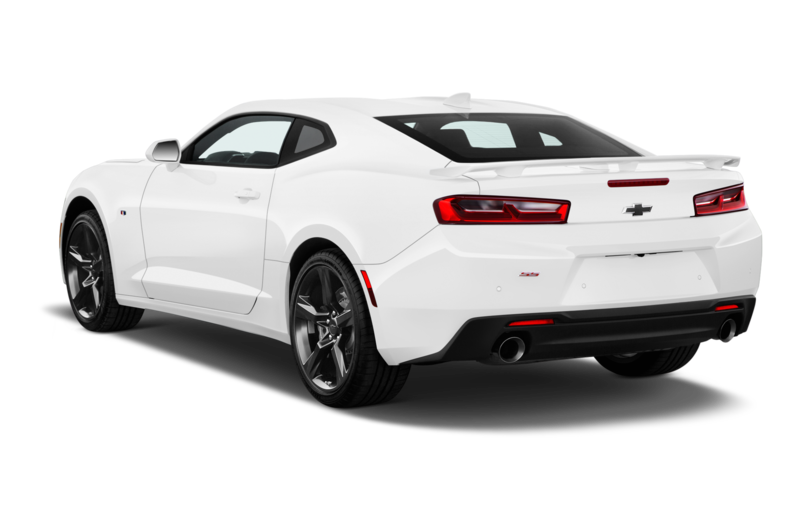 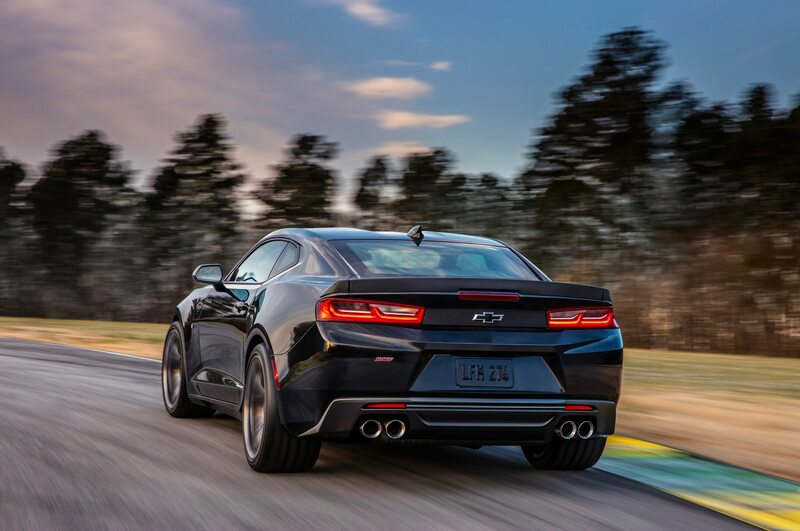 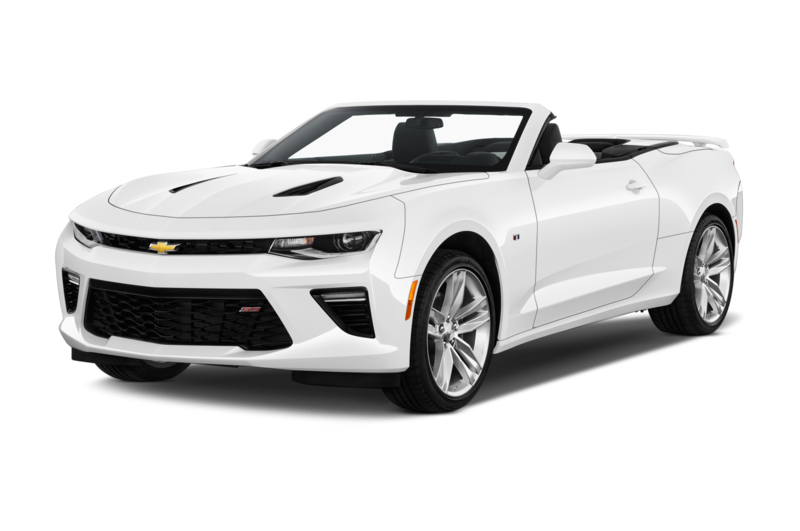 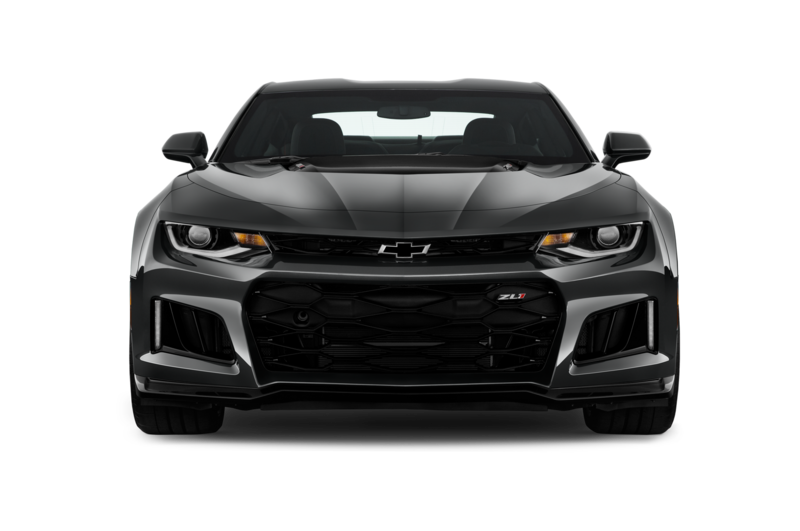 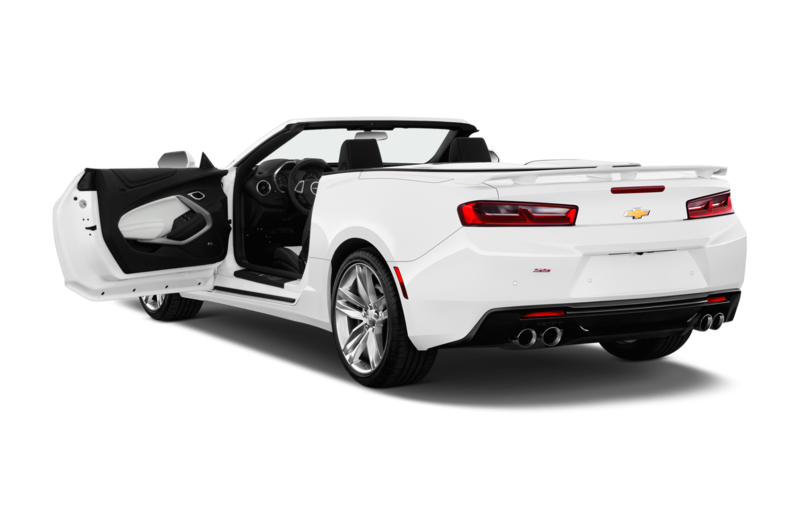 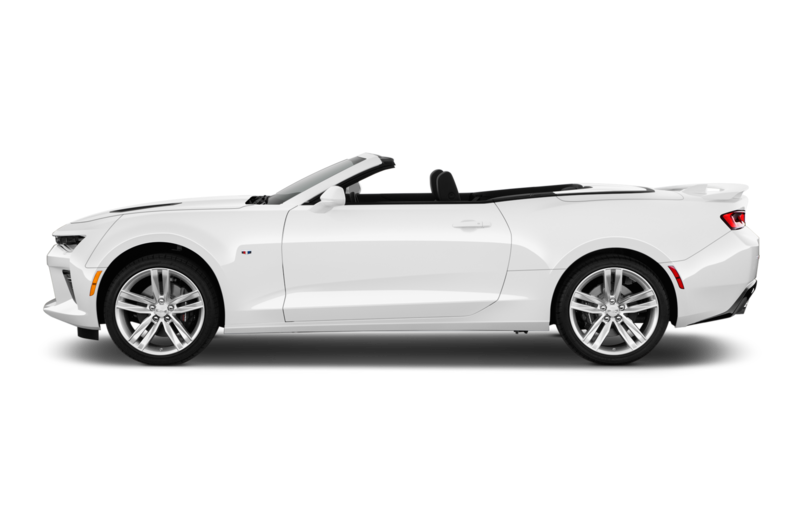 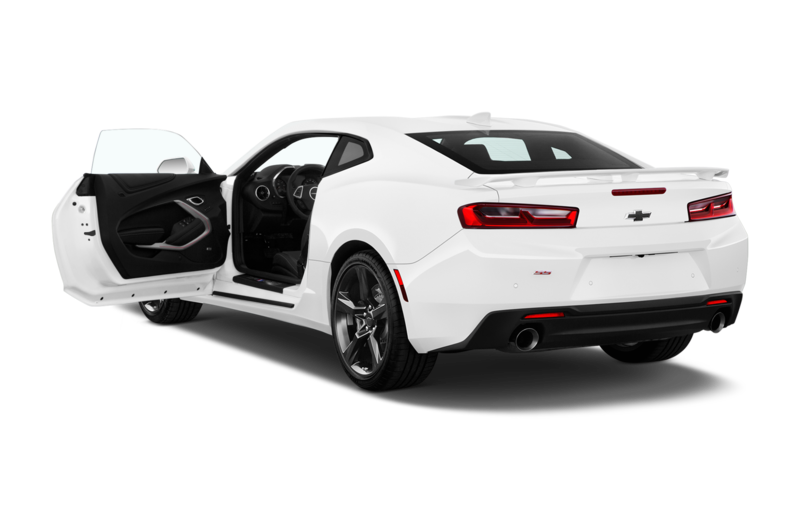 Available on the Camaro 1LT or 2LT coupe, the V-6 1LE does however swipe a few key performance parts from the standard SS. 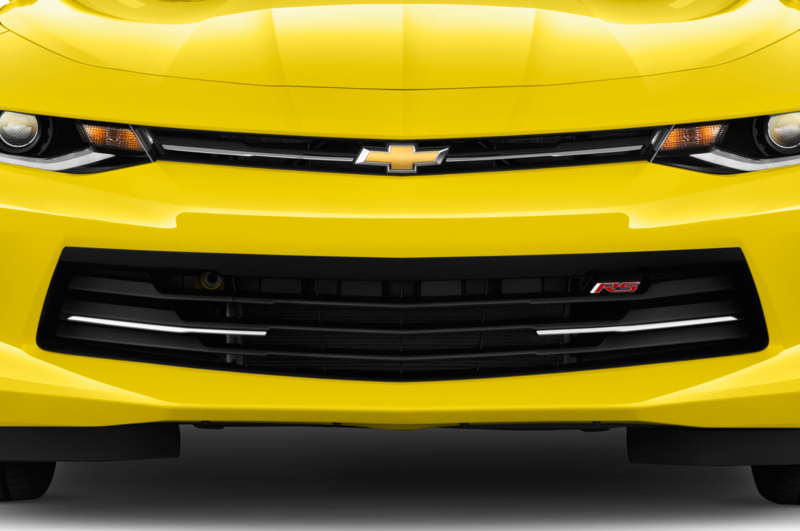 Chevrolet’s FE3 suspension, including dampers, rear cradle mounts, rear toe links, and anti-roll bars, come standard on the V-6 1LE, along with Brembo four-piston front brakes. 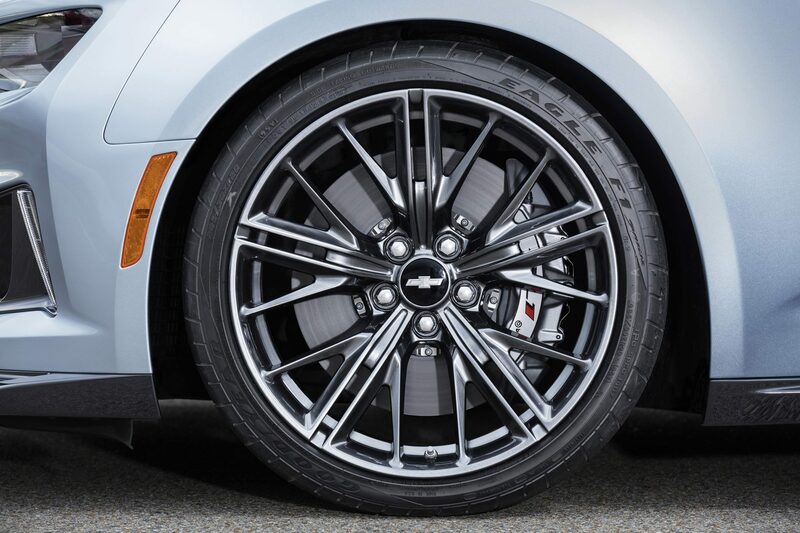 It also cribs the SS’s 20-inch forged aluminum wheels with Goodyear Eagle F1 tires, sized 245/40R20 up front and 275/35R20 in the rear. 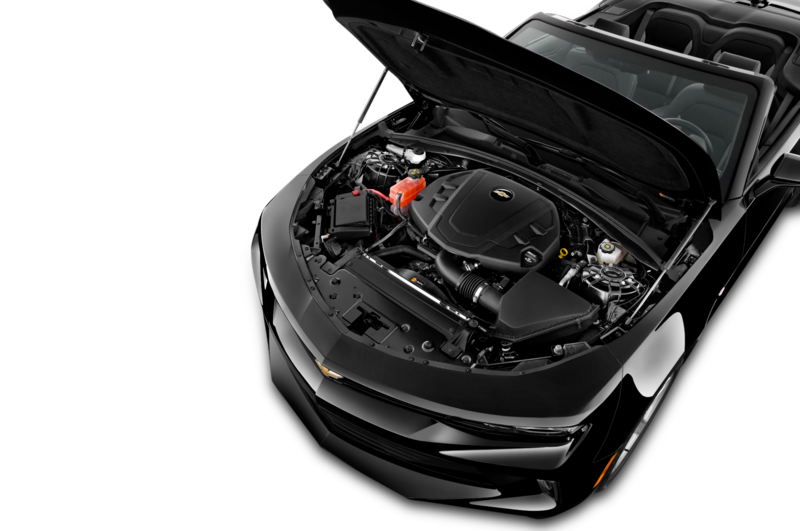 Chevrolet even fitted the V-8 engine’s fuel system, to prevent fuel starvation in high-g cornering. 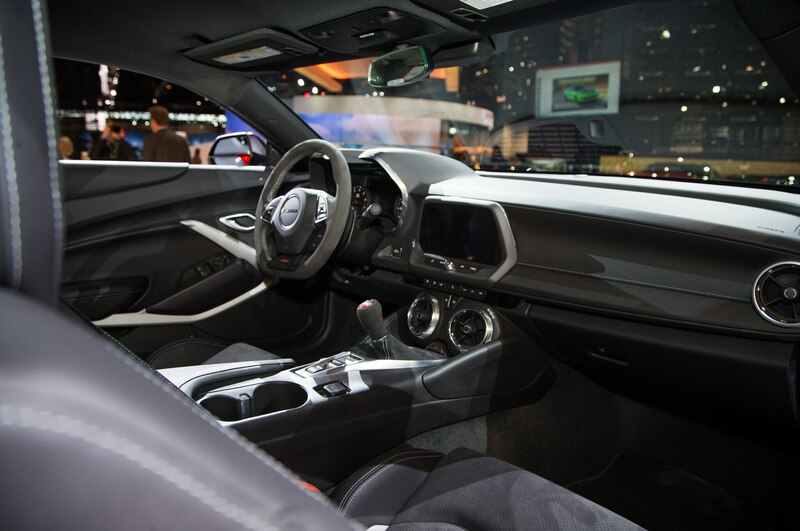 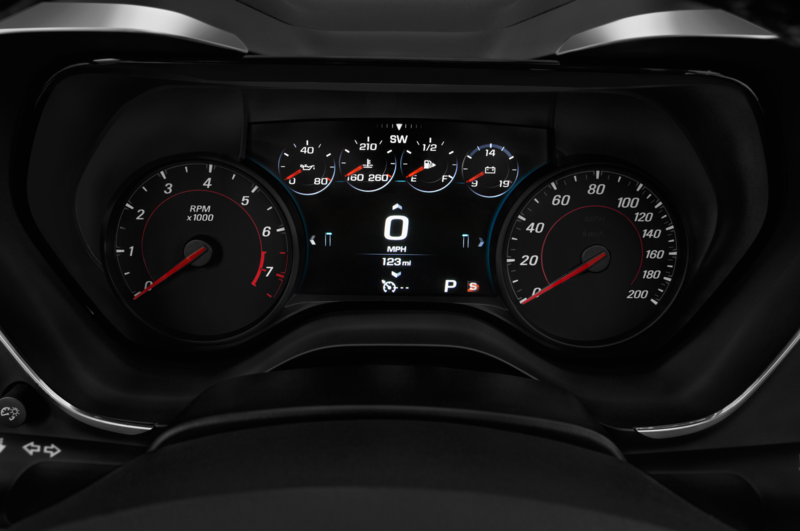 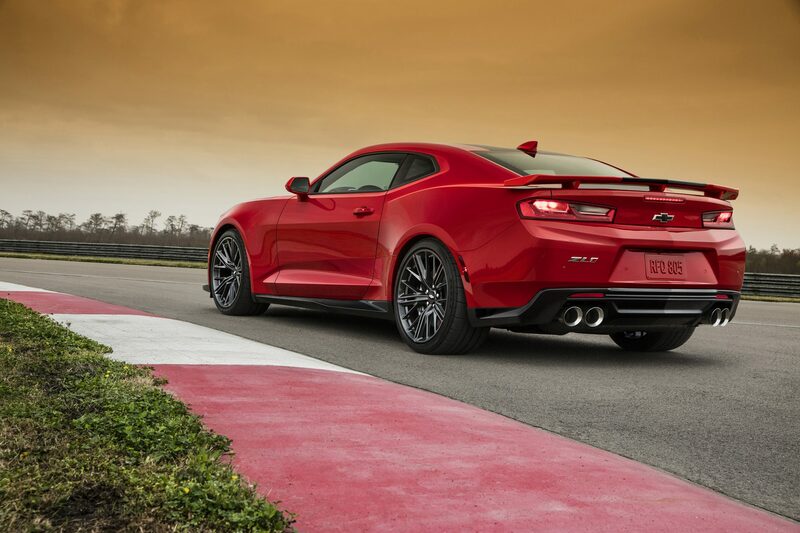 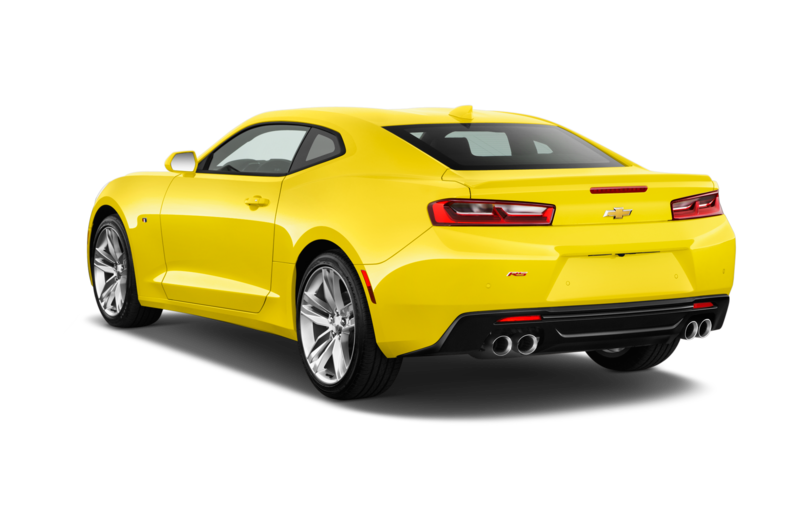 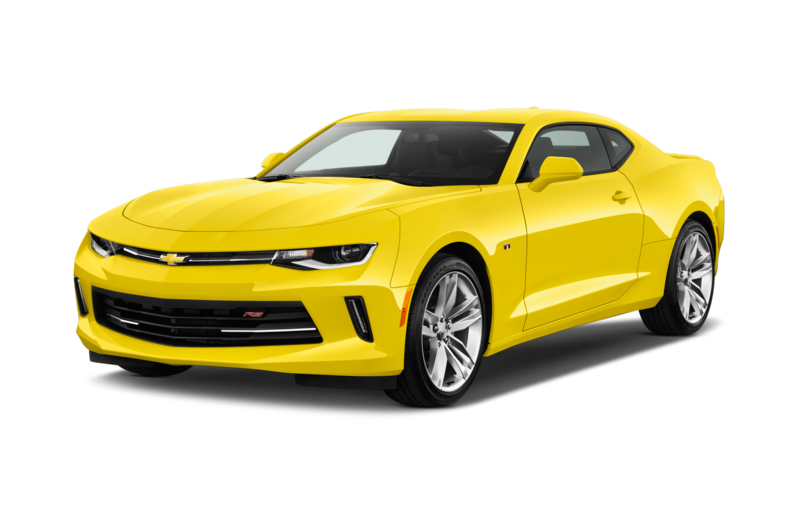 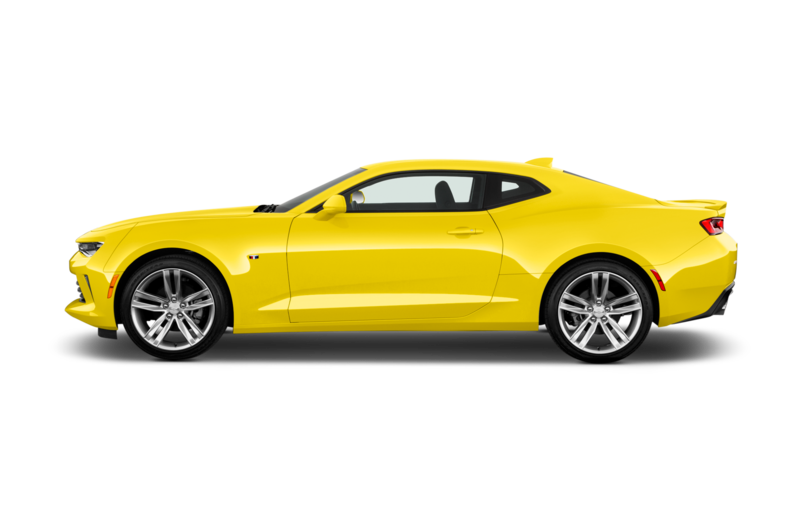 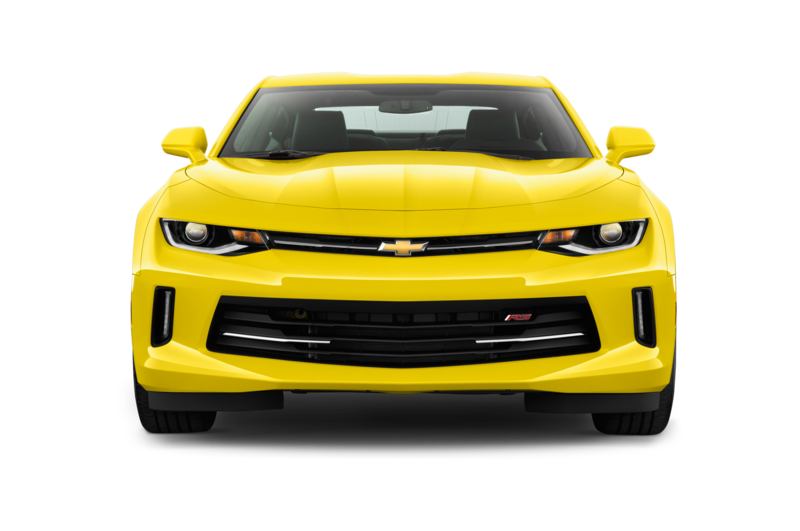 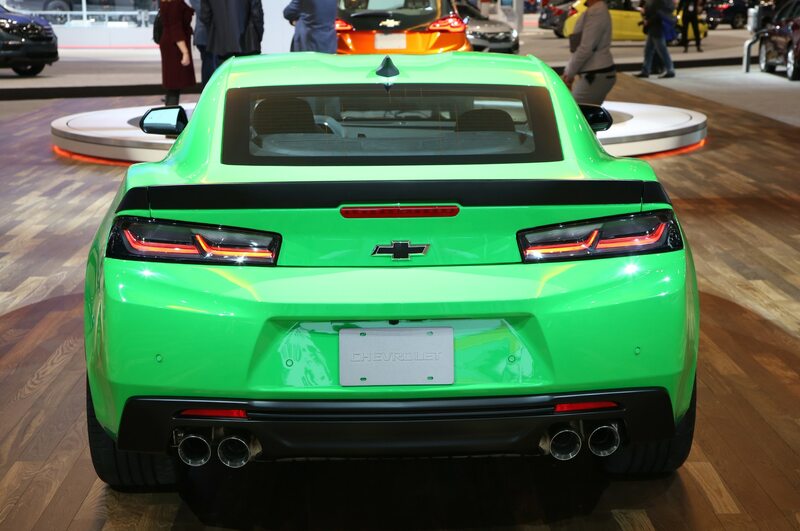 Handling is the main focus of the 2017 Chevrolet Camaro 1LE, and the V-6 version is bound to keep pace with its mechanical limited-slip differential and 3.27:1 final-drive ratio. 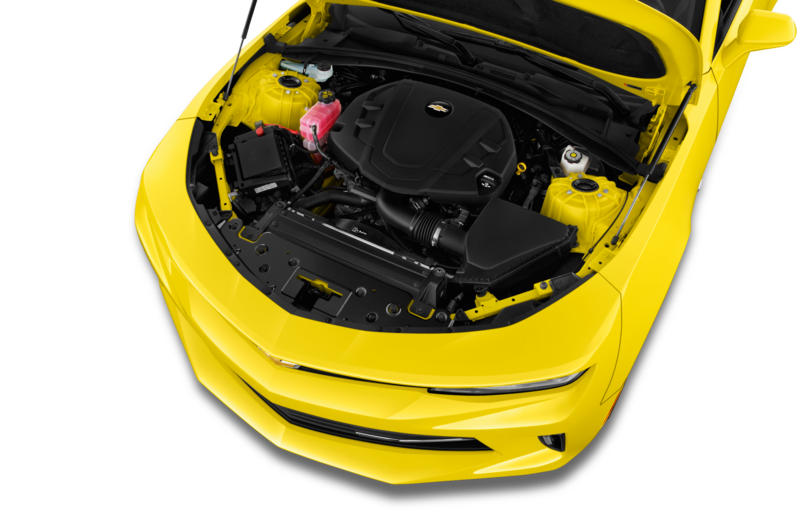 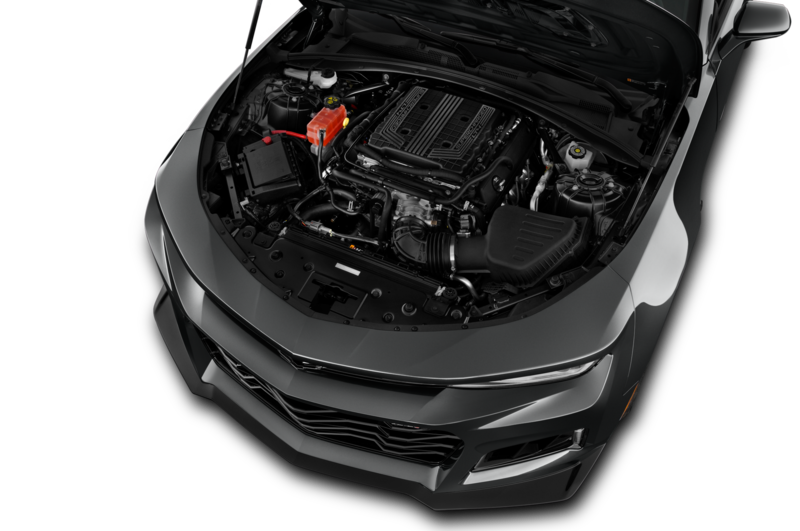 Chevy hopes to keep things cool with standard engine oil, differential, and transmission coolers (available as the Y4Q cooling package on standard Camaro models). 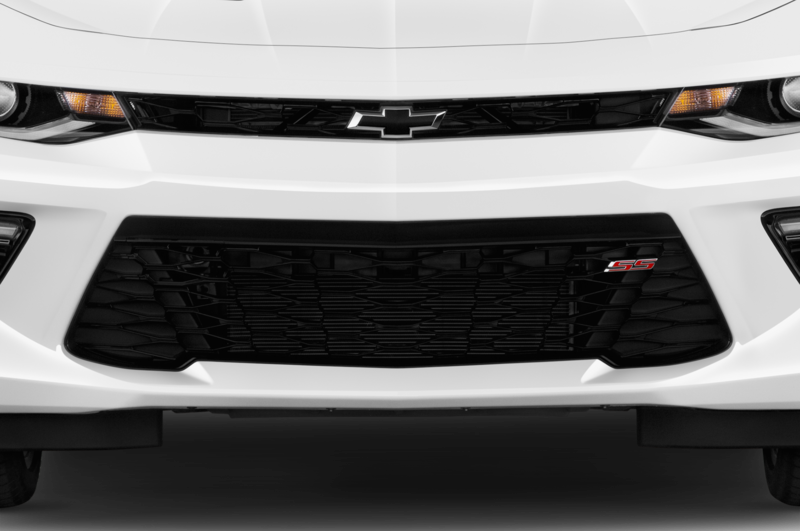 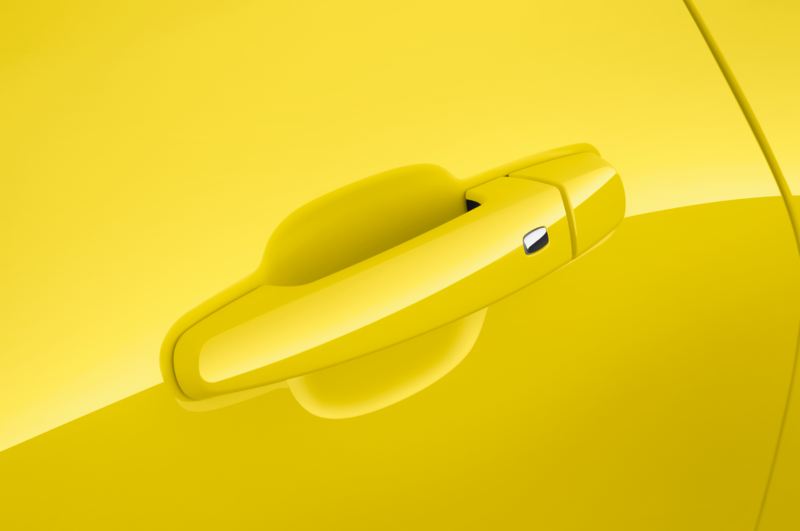 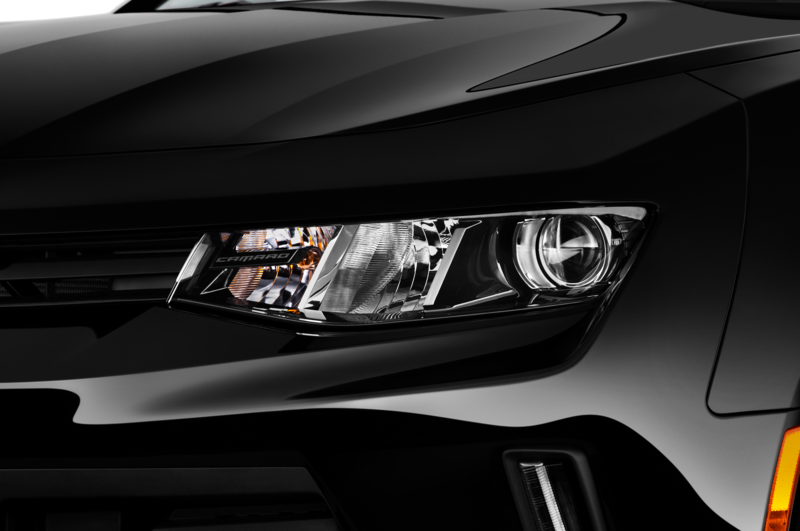 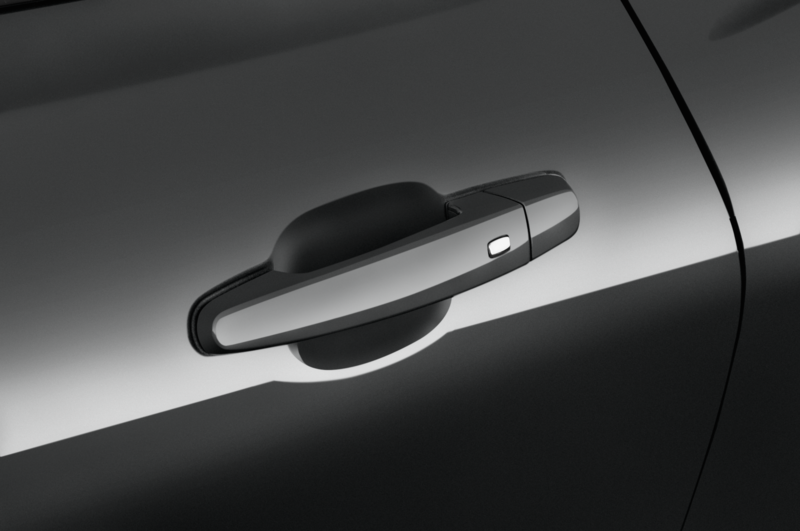 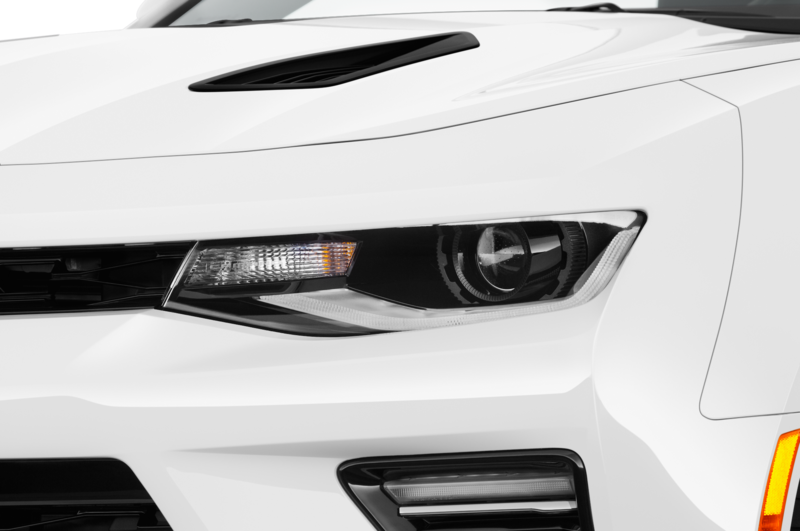 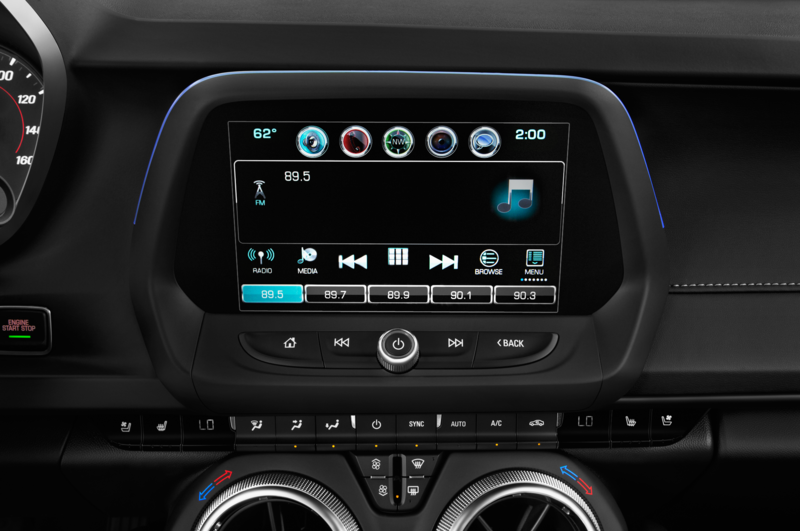 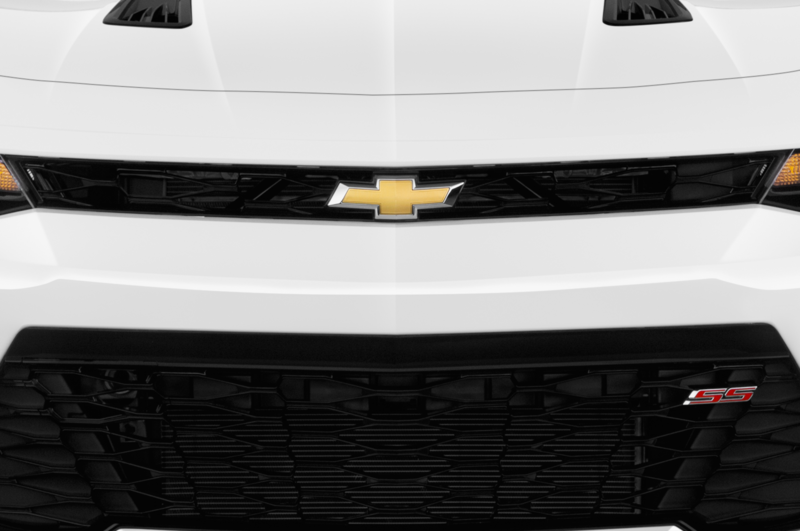 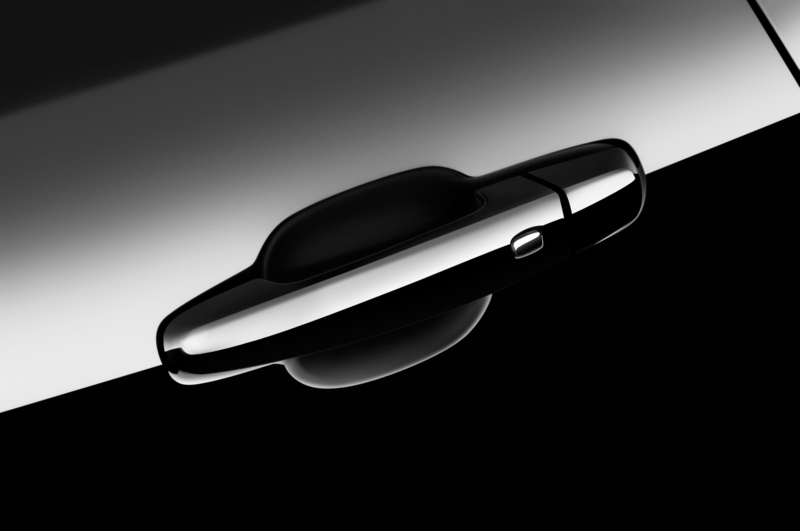 To increase airflow to the V-6’s dual front radiators, Chevrolet removed the auxiliary daytime running lamps on the lower part of the front fascia, letting extra fresh air run through the housings. 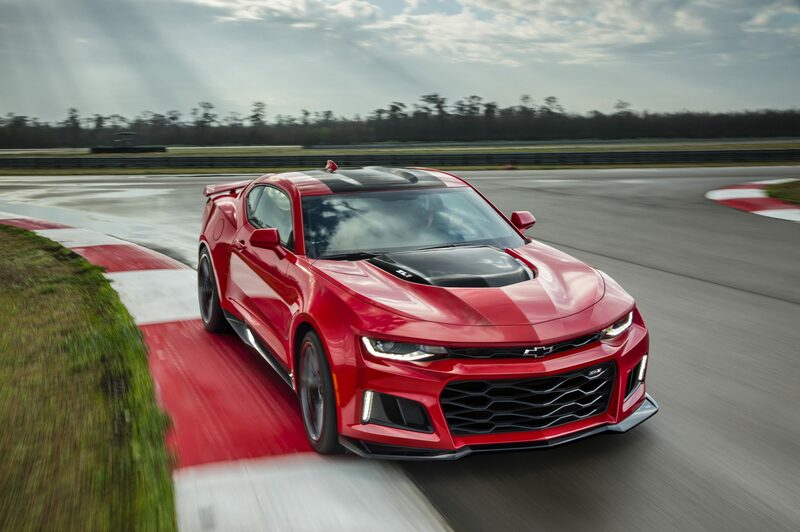 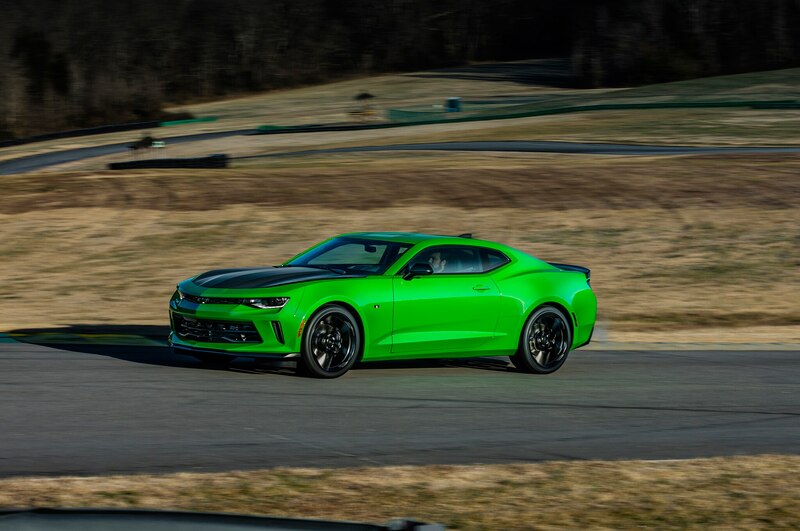 Camaro chief engineer Al Oppenheiser said in a statement that the V-6-powered 1LE can lay down lap times comparable with the outgoing V-8 Camaro 1LE, pulling 0.97 g on the skidpad. 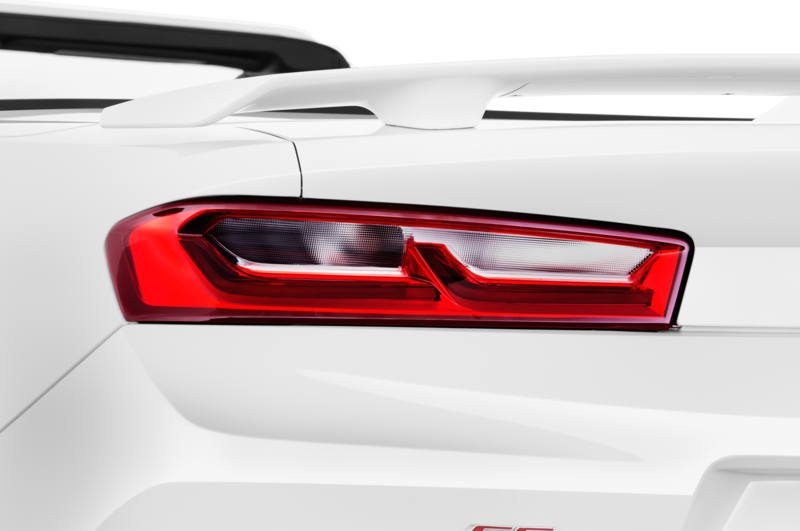 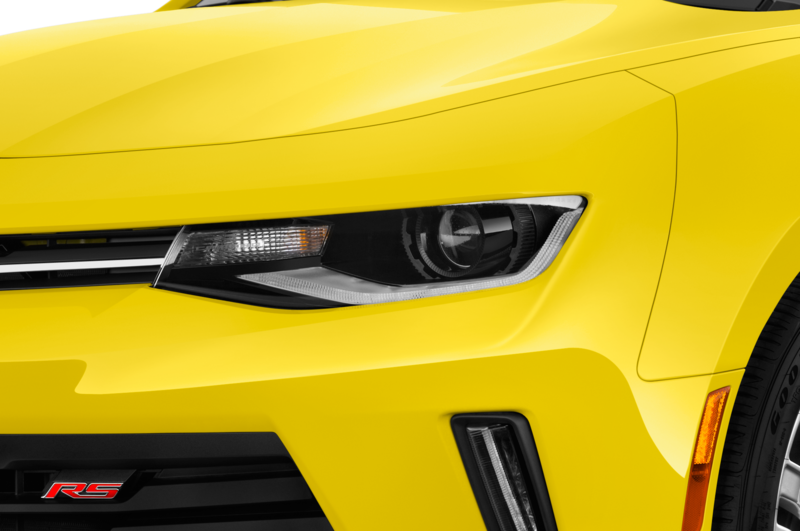 Curb weight will come in at under 3,500 pounds, and a standard dual-mode exhaust will make sure the new V-6 Camaro has a growl to match up with its performance. 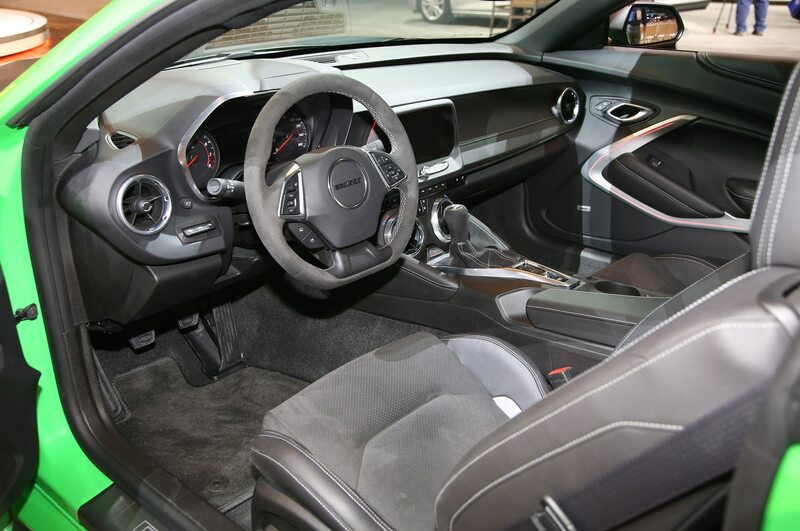 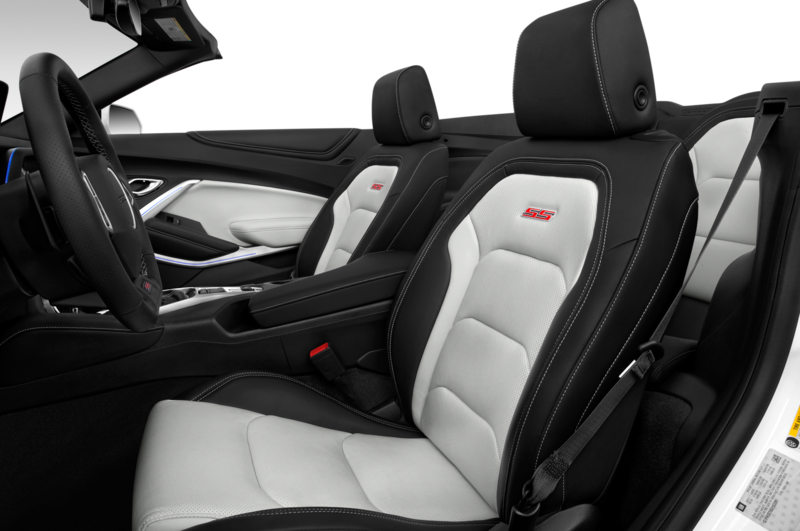 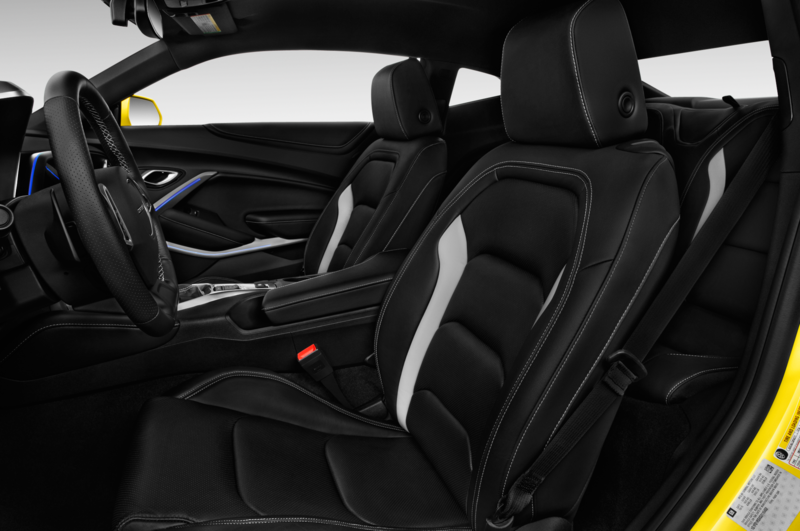 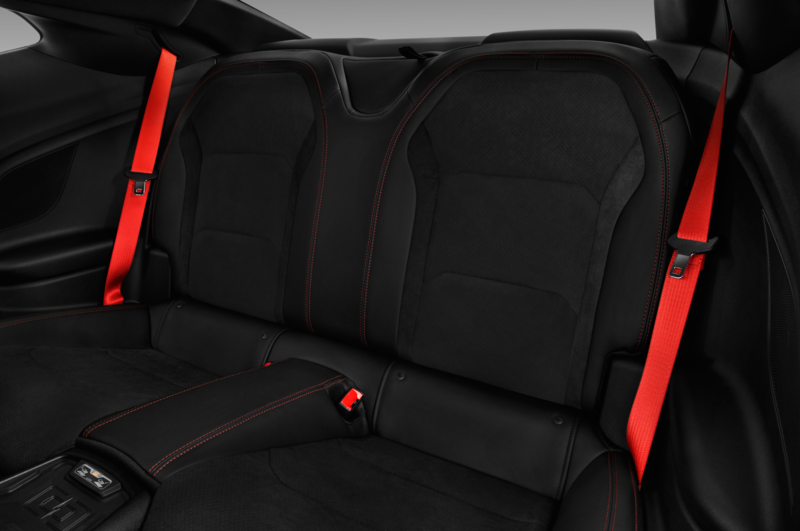 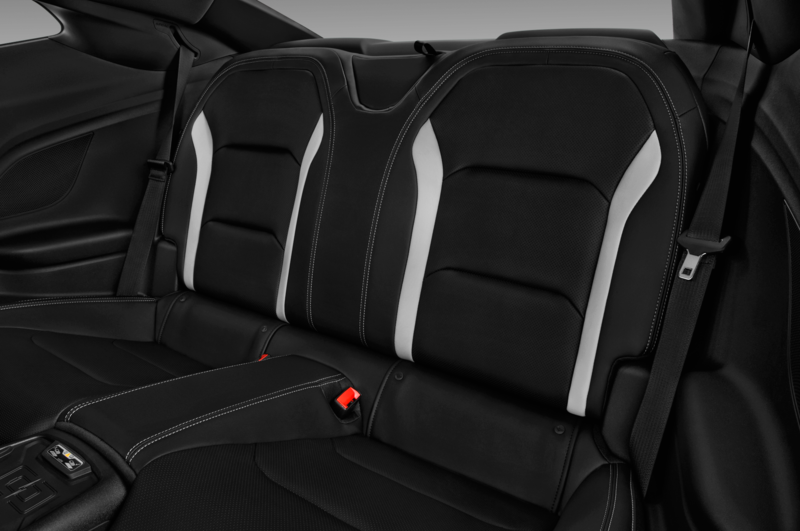 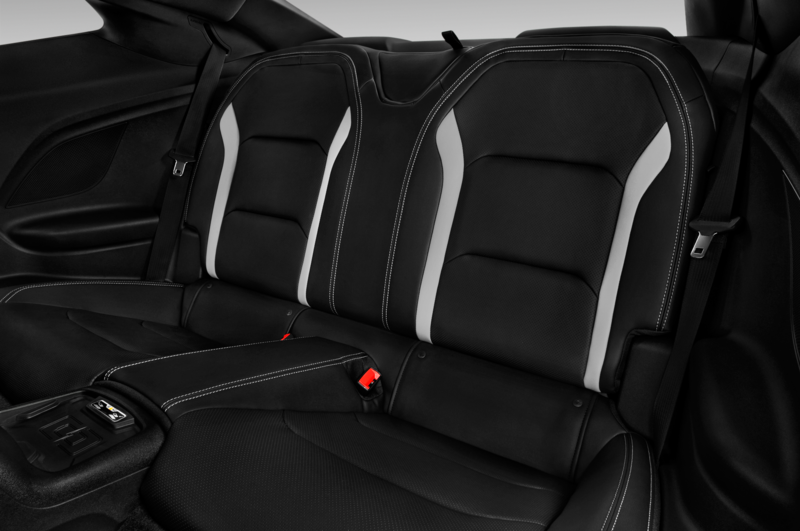 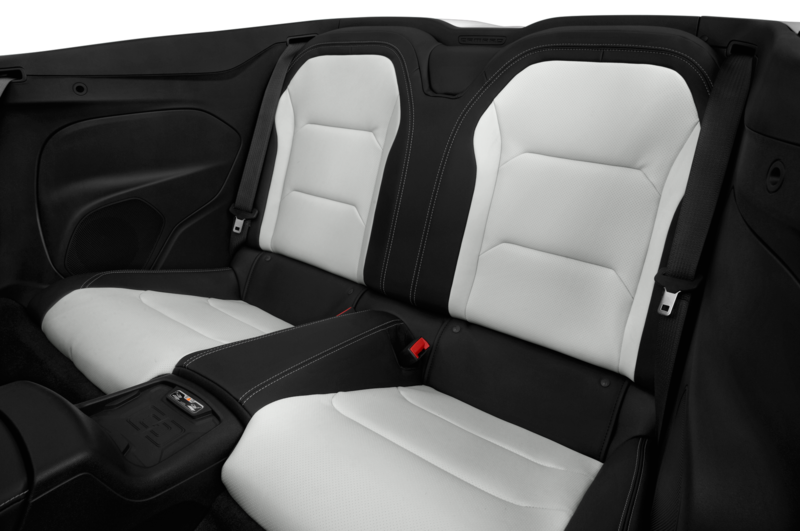 Available Recaro seats will keep you snug, too, and you’ll want them; contributor Marc Noordeloos found that the stock seats weren’t up to snuff when he took the Camaro SS to the track. 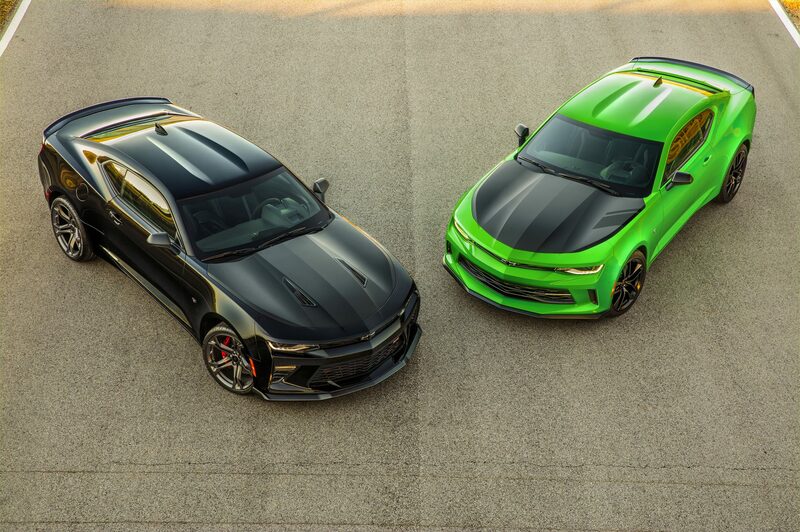 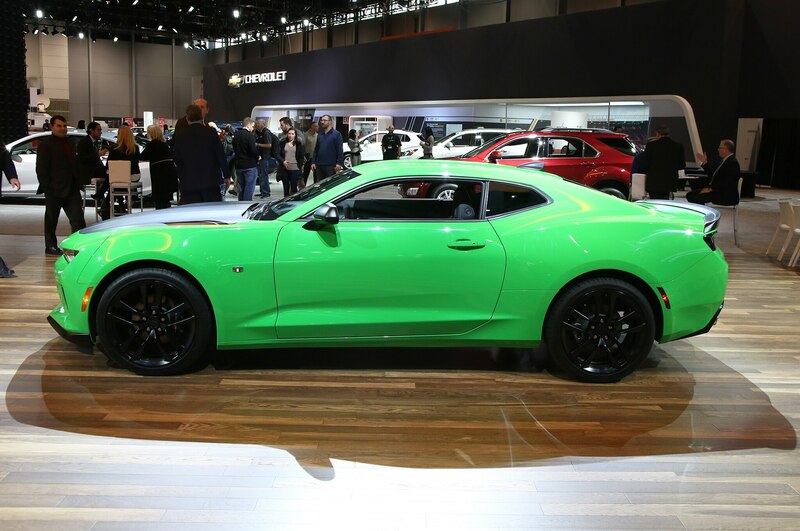 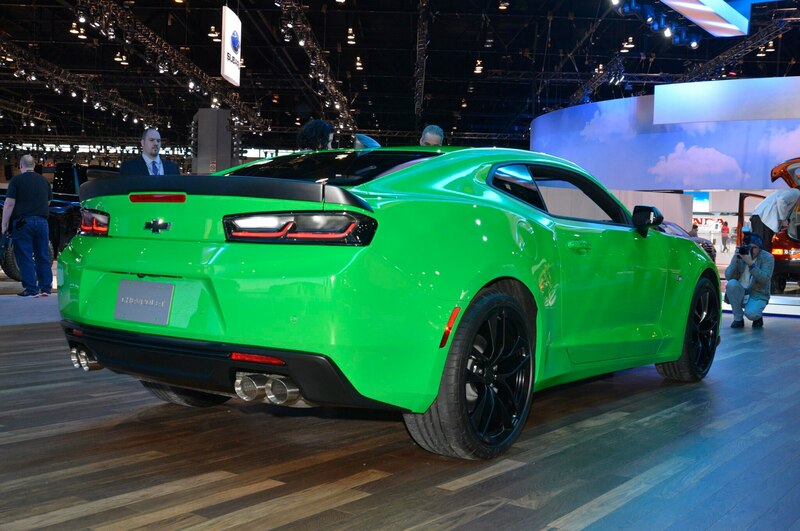 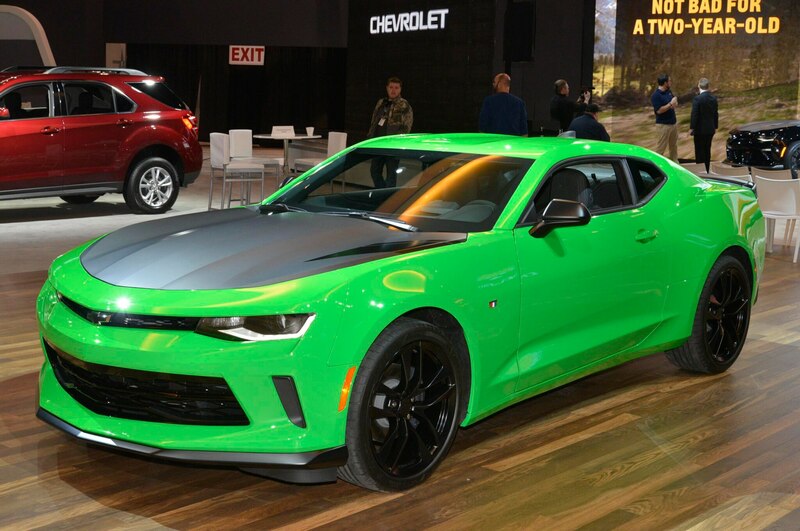 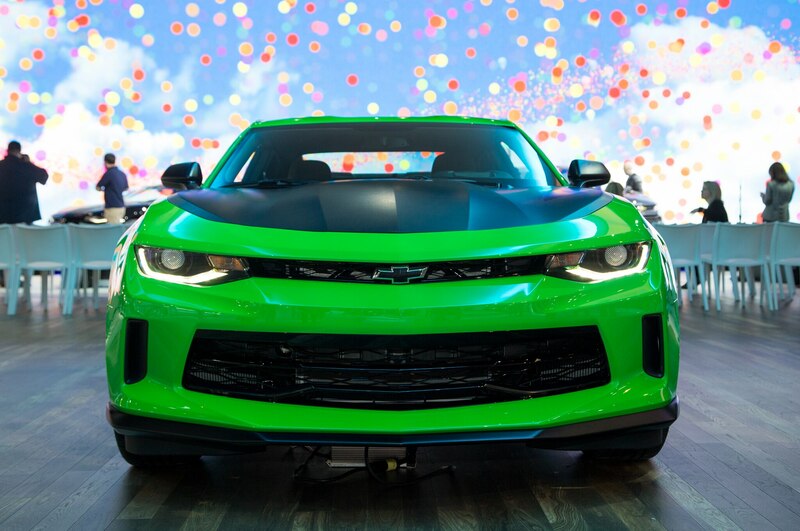 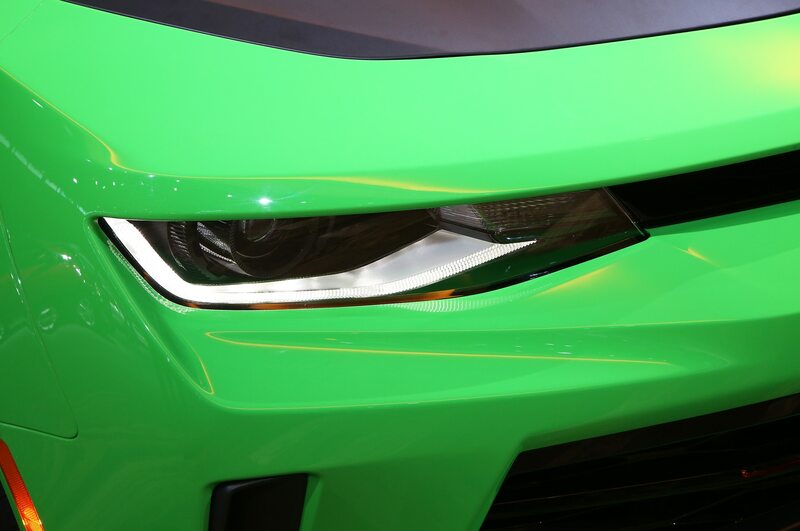 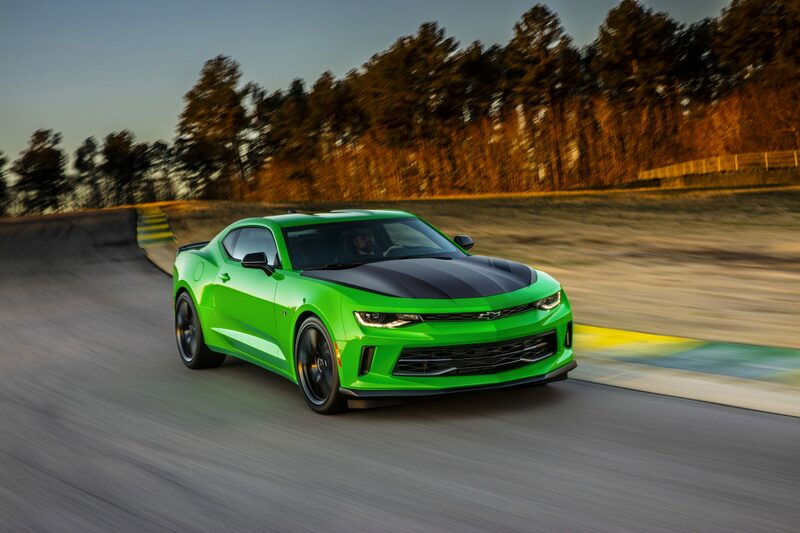 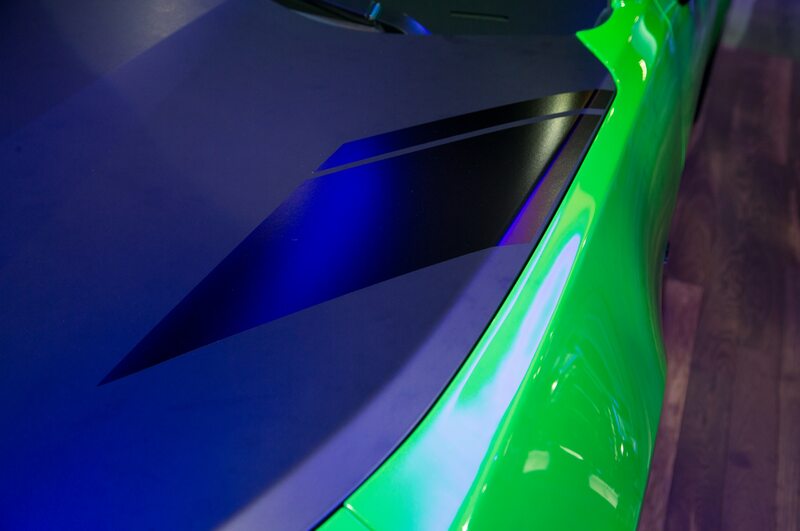 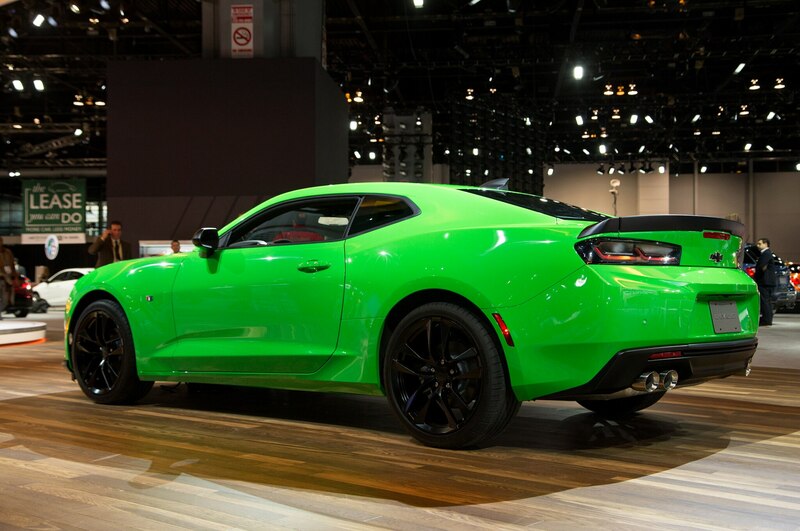 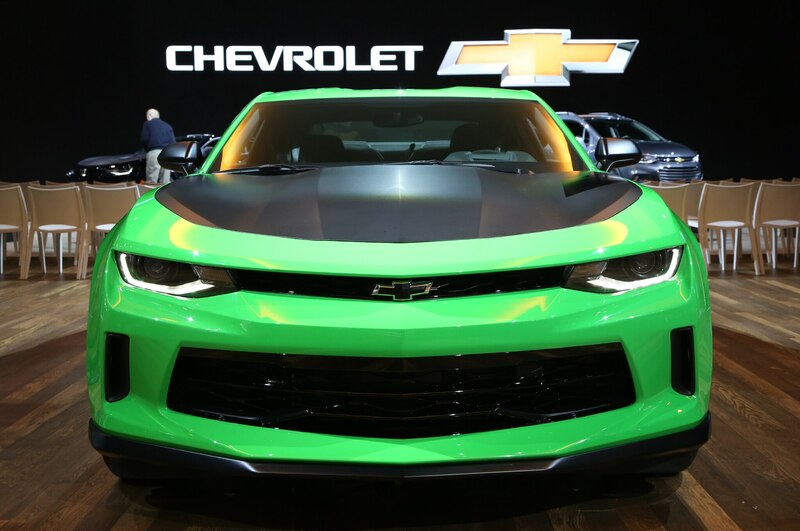 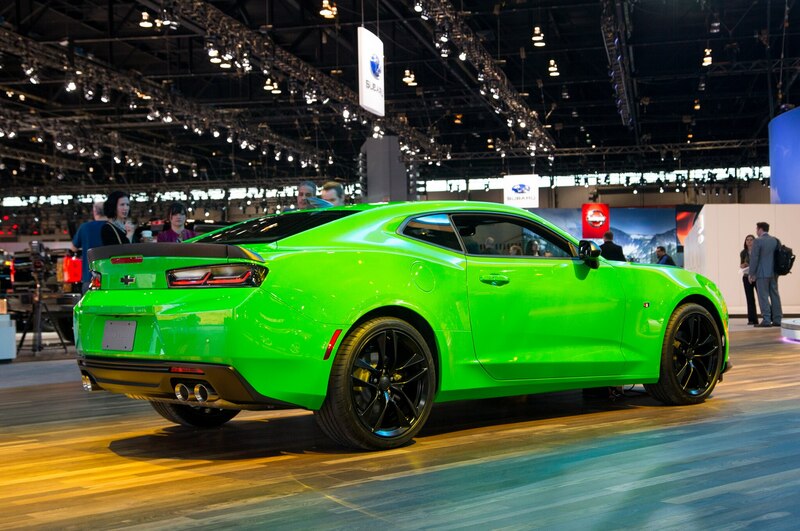 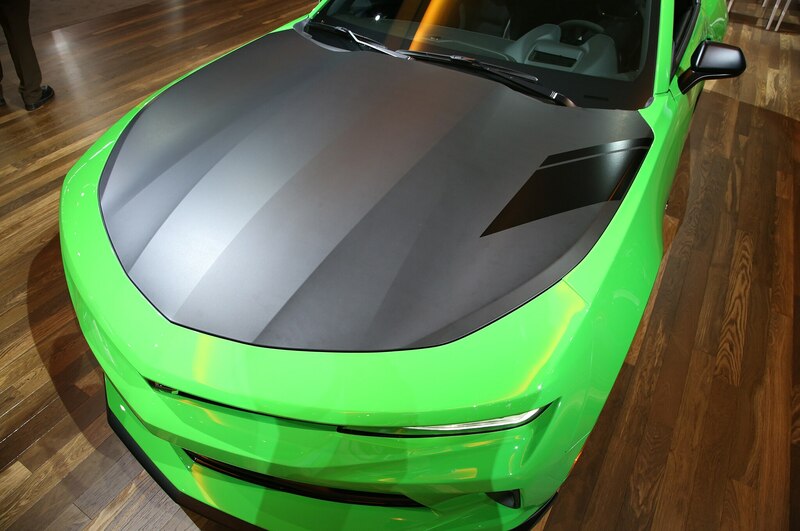 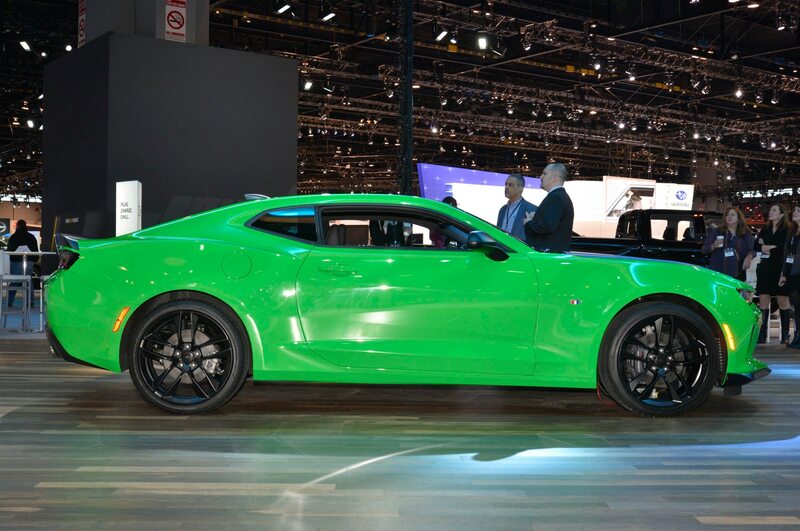 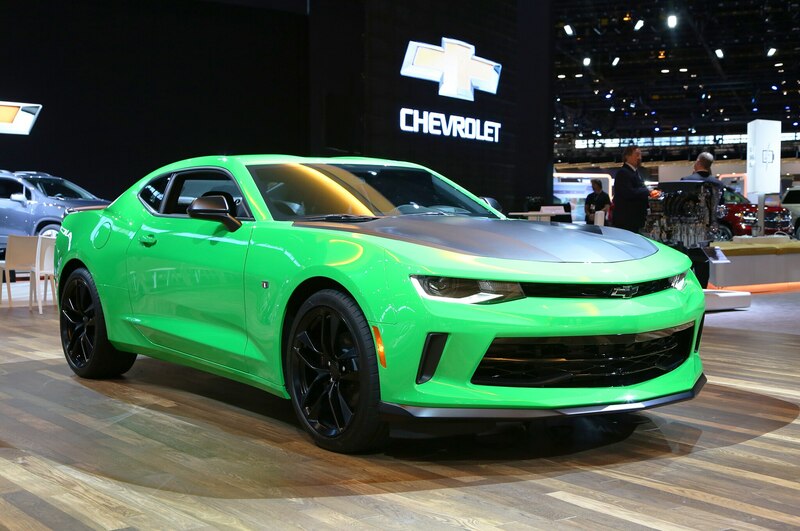 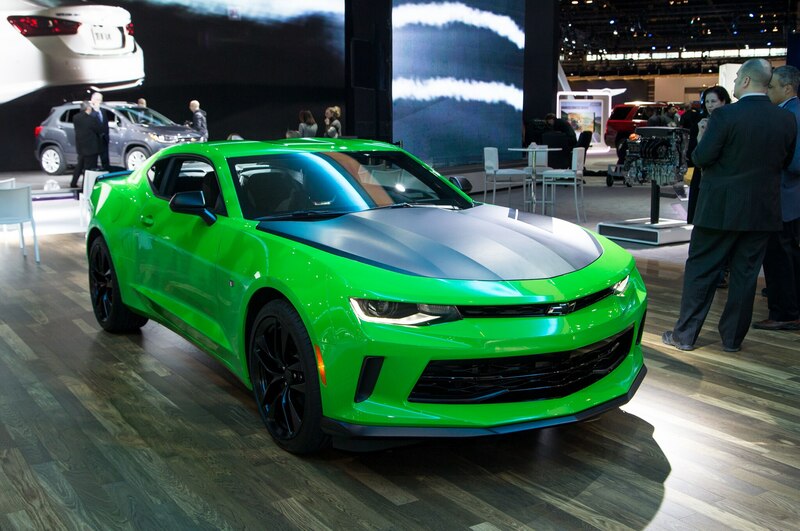 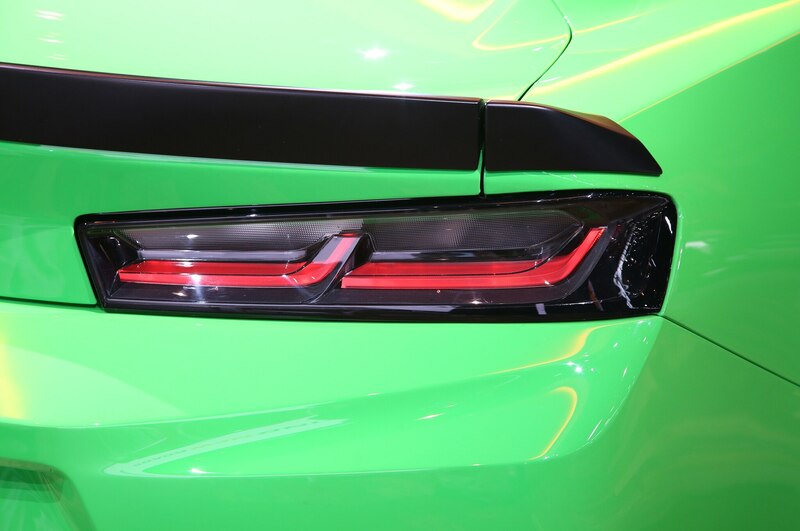 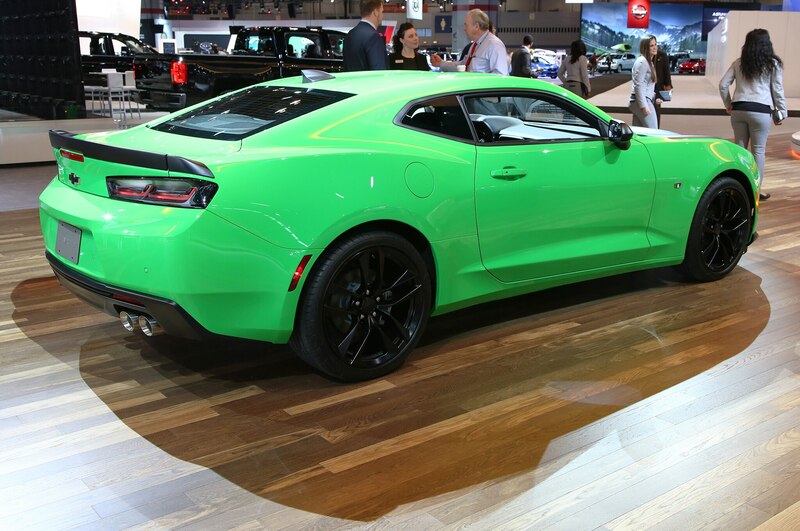 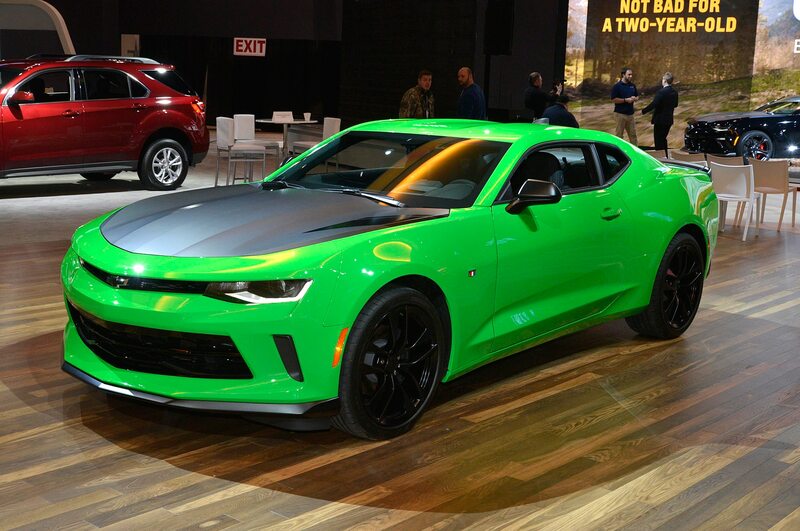 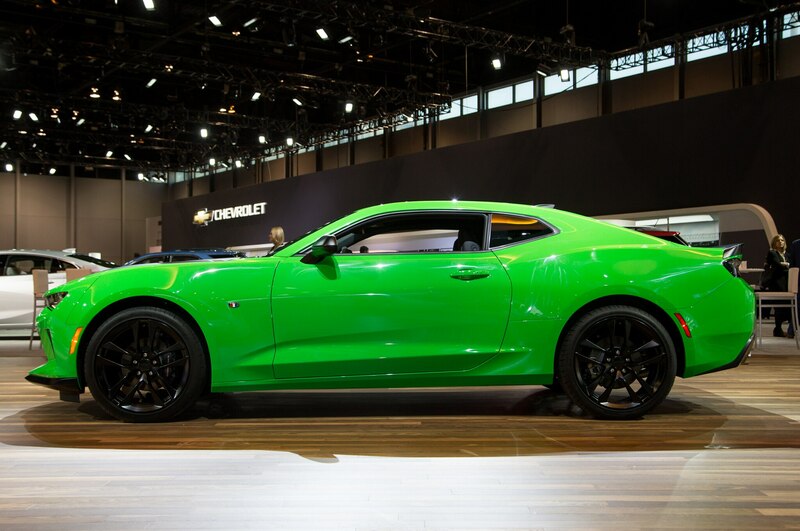 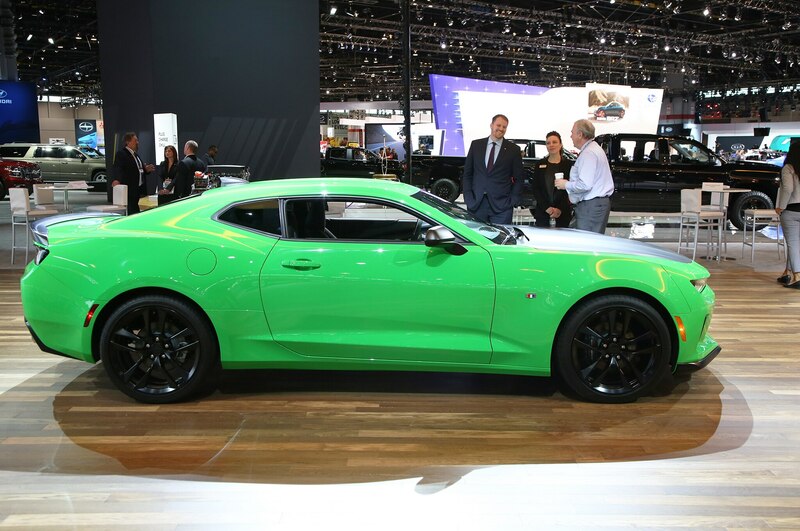 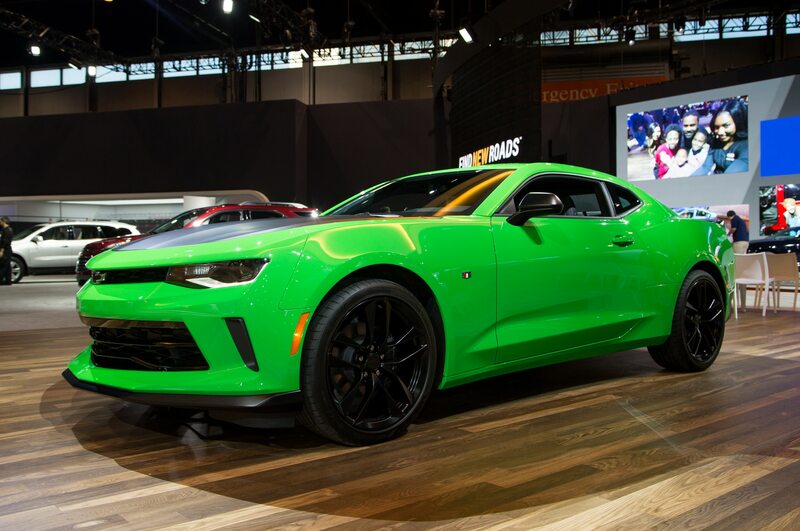 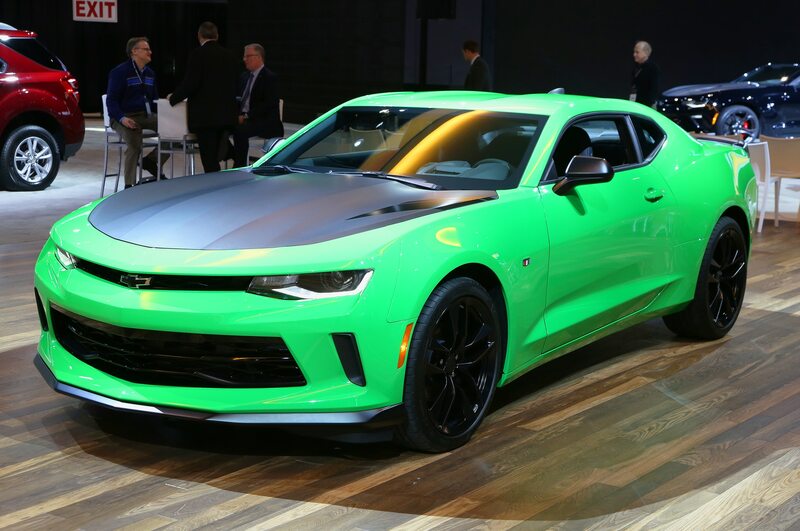 The paint that you literally won’t be able to miss on the Chicago-bound V-6 1LE is called Krypton Green, but Chevrolet says it is at this point just a pre-preproduction color. 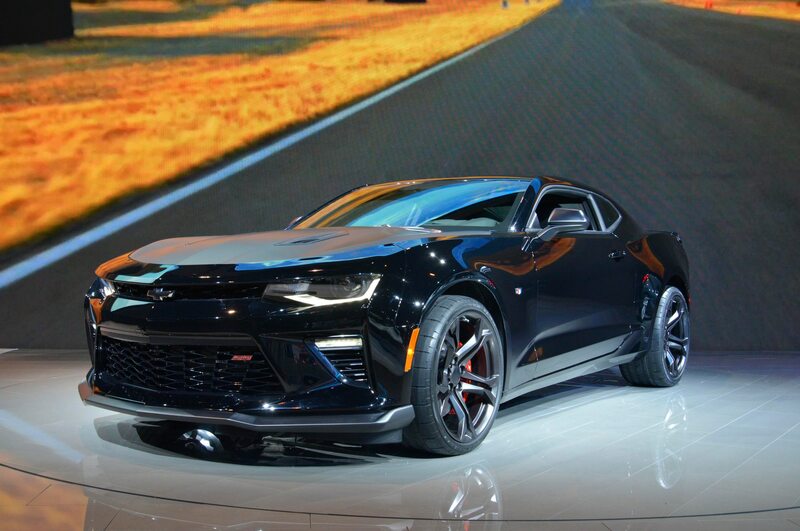 Build it, we implored them. 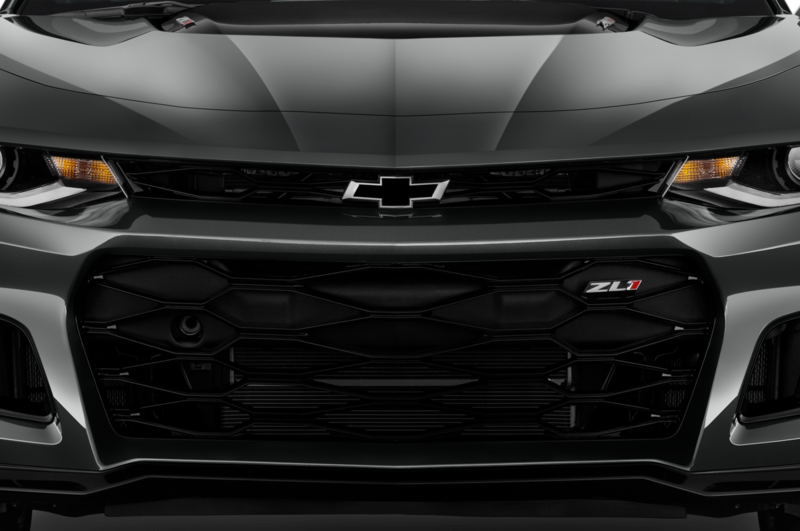 It happens to look badass with all of the 1LE’s black trim pieces, especially the black bowtie and taillamp accents that can be ordered as dealer-installed accessories. 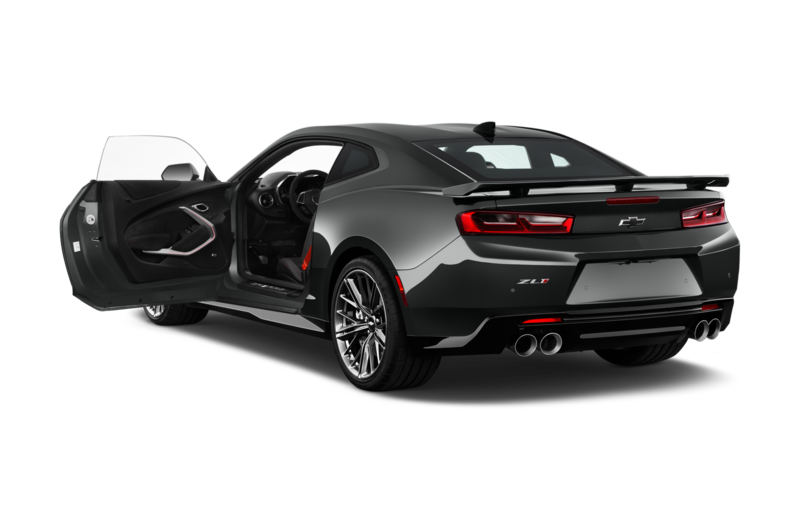 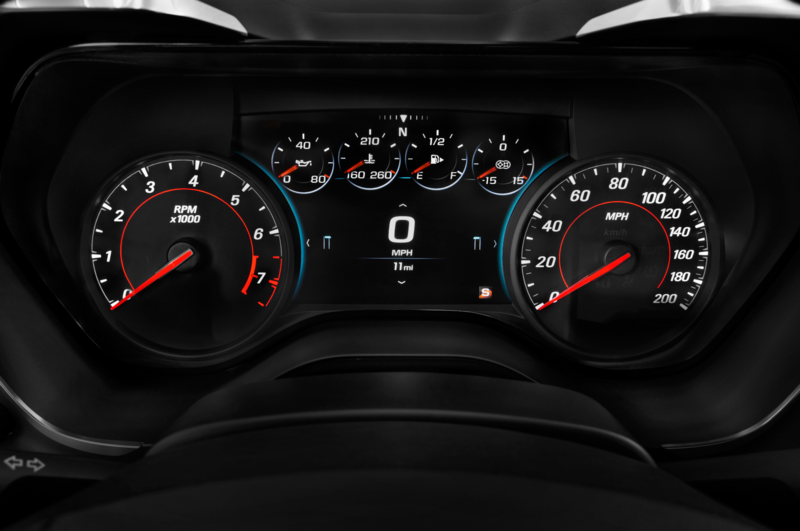 For those who just can’t ignore the call of the 455-hp LT1 V-8, the 2017 Chevrolet Camaro SS 1LE will not disappoint with its own litany of wild performance upgrades. 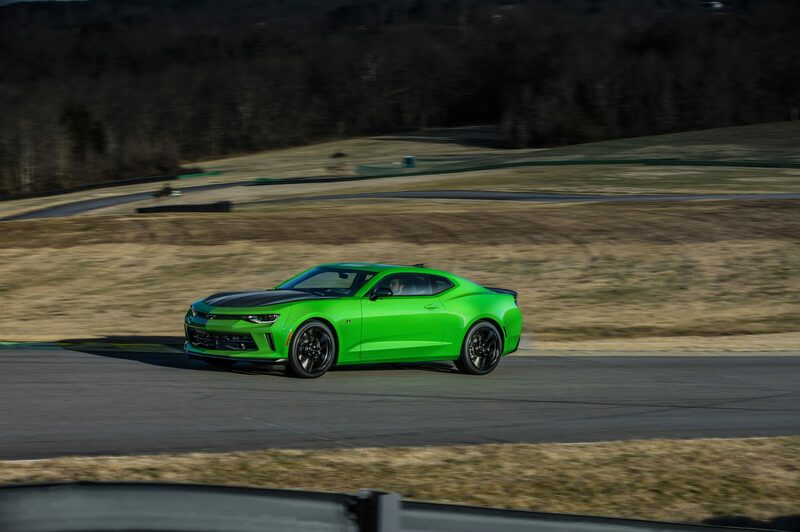 Oppenheiser said the new 1LE is three seconds faster than its predecessor around the Big Willow circuit at Willow Springs, so let’s dive into what’s driving those gains. 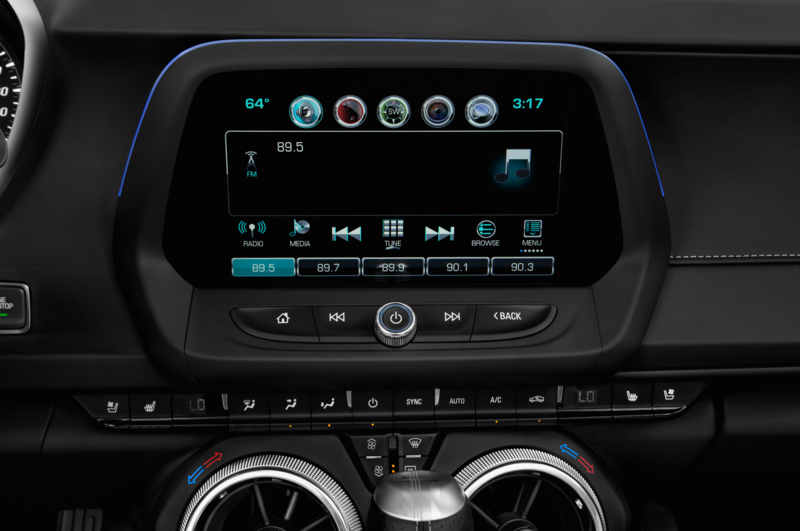 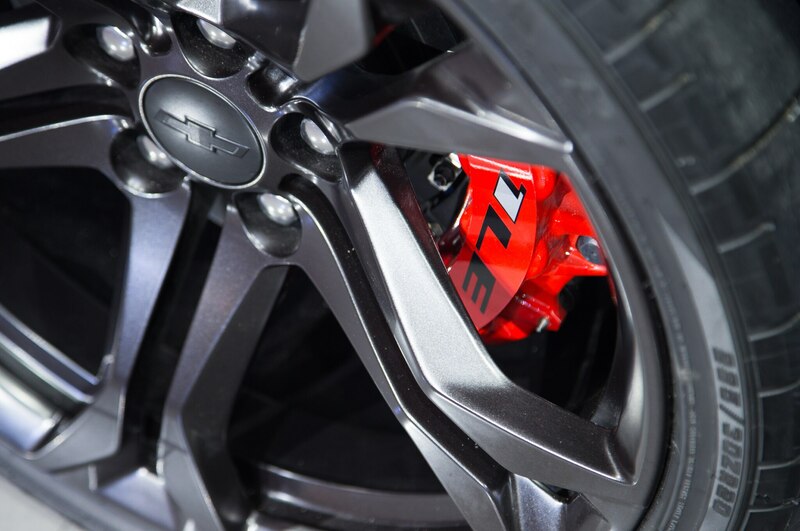 A new FE4 suspension incorporates Magnetic Ride dampers for the Magnetic Ride Control system, trickling down from the C7 Corvette Stingray. 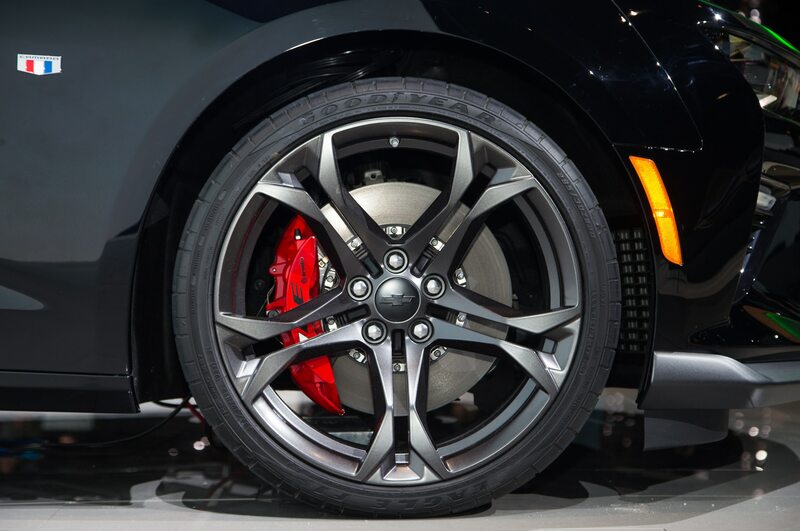 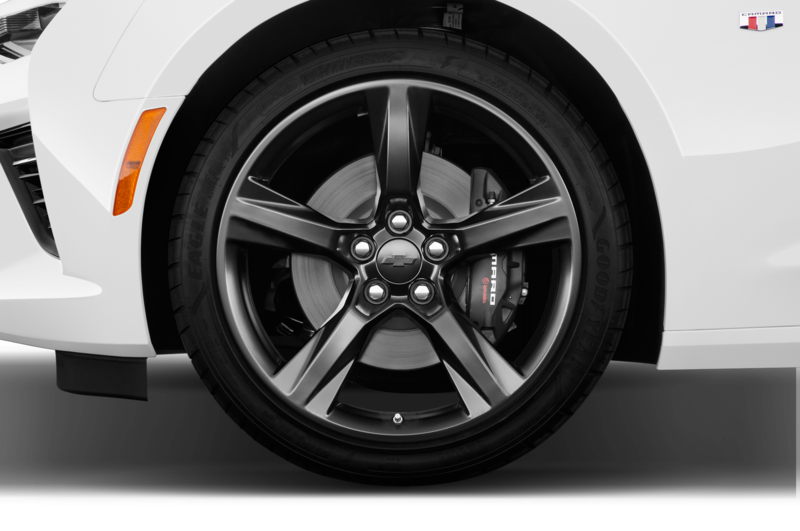 Big Brembo brakes can be found at all four corners with six-piston calipers and 14.6-inch two-piece rotors up front (7 percent larger than on the SS), and four-piston calipers in the rear. 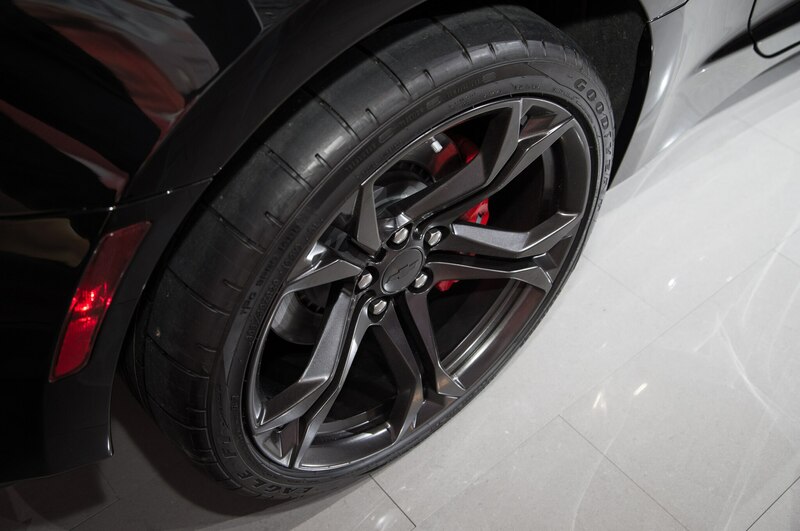 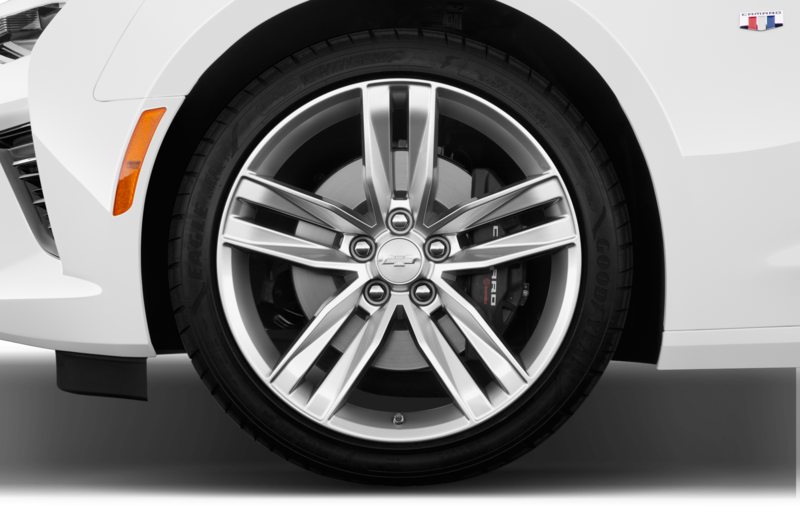 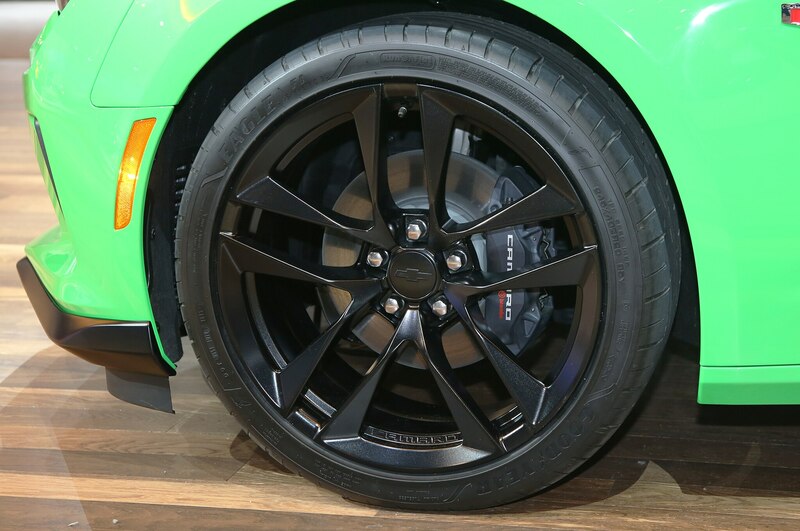 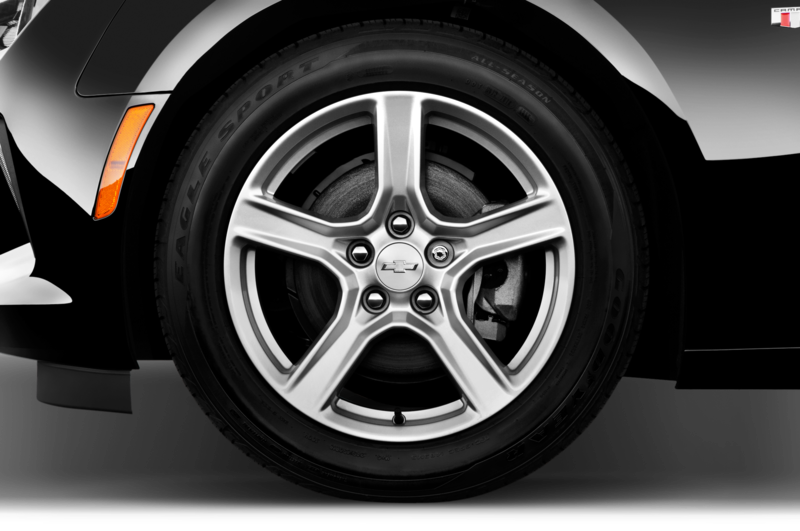 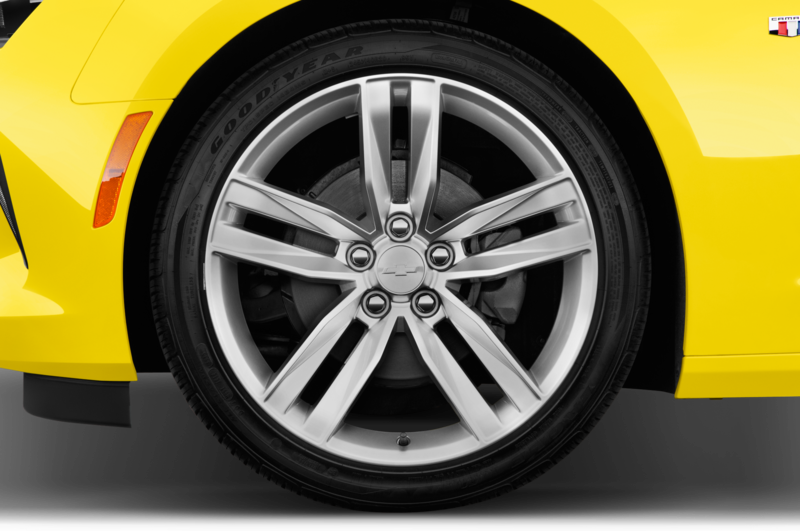 An exclusive compound and tire construction for the Camaro SS 1LE’s Goodyear Eagle F1 Supercar tires (285/30ZR20 up front and 305/30ZR20 out back) gives it another competitive edge, along with unique 20-inch forged aluminum wheels. 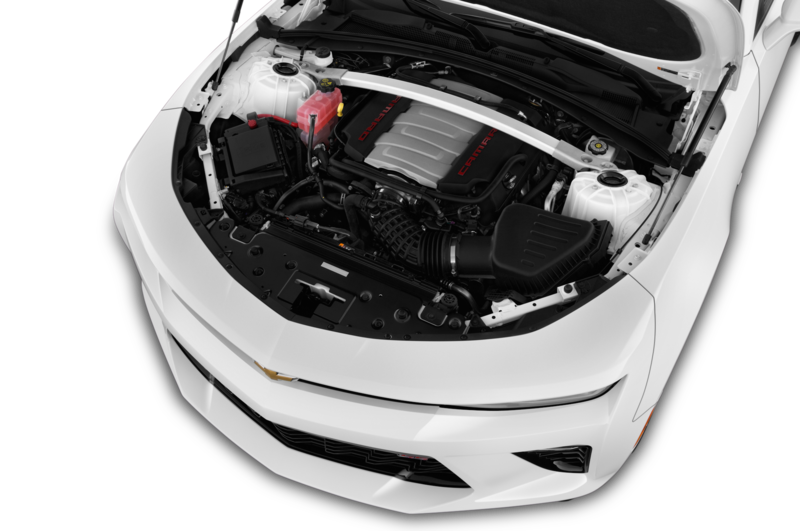 Like the V-6, the SS 1LE gets coolers for the engine oil, transmission, and differential as well. 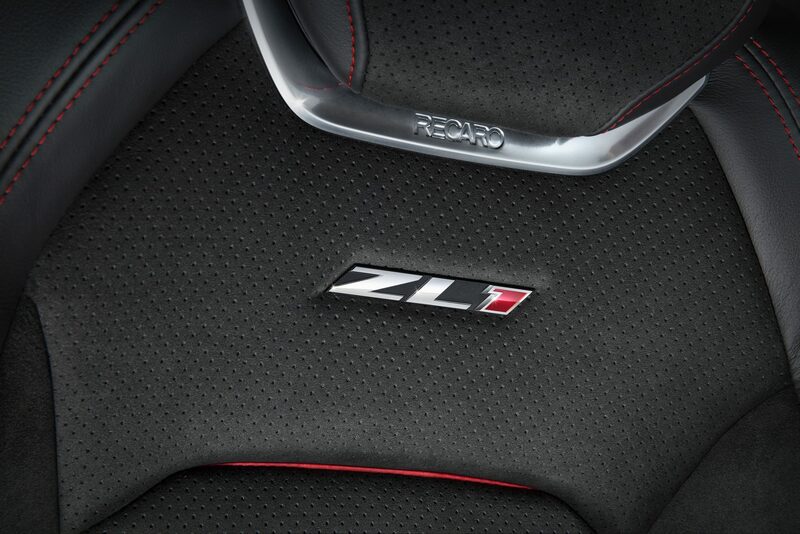 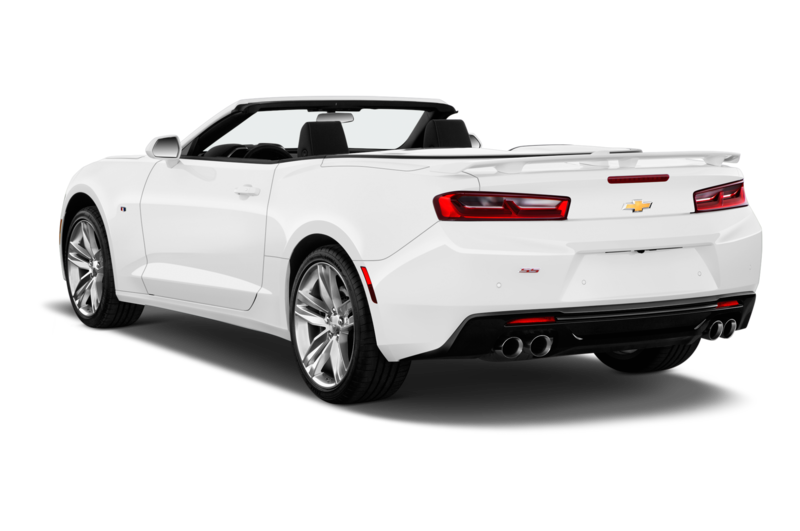 The SS 1LE comes with the same standard dual-mode exhaust as in the V-6 version, while also incorporating standard Recaro bucket seats and a head-up display. 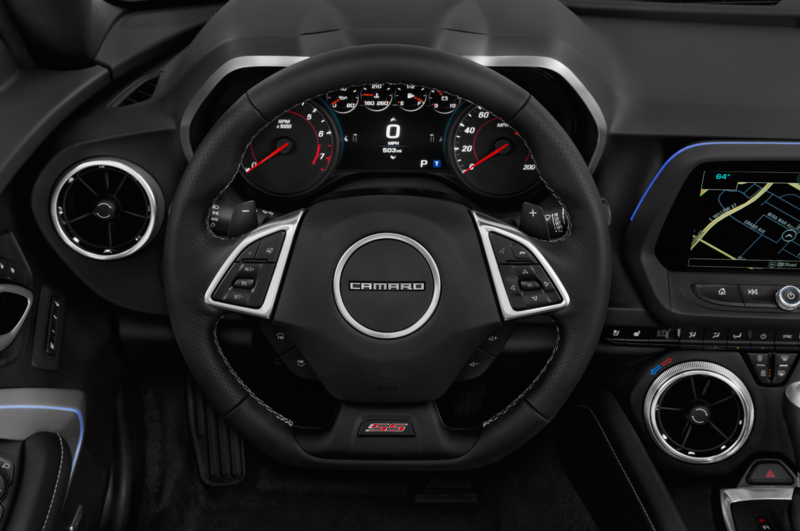 Perhaps the most significant upgrade for the Camaro SS 1LE is its standard electronic limited-slip differential and 3.73 ratio. 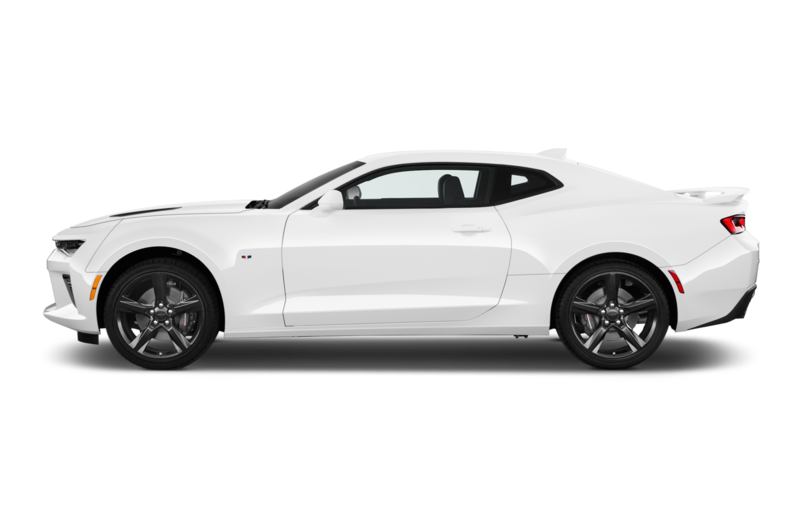 You’ll find nothing so advanced on the Track Pack version of the Ford Mustang GT, so the 1LE indeed offers something special. 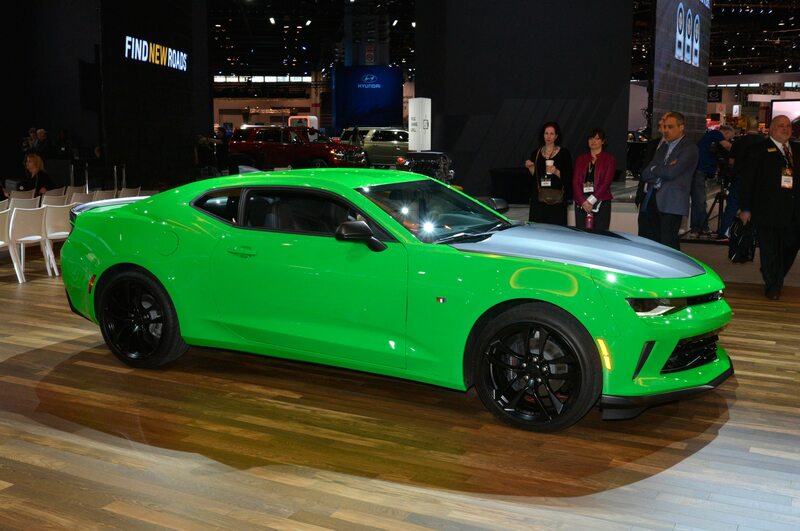 Chevrolet isn’t talking pricing at this point, but a spokesperson points out that the old 1LE was a $3,500 package. 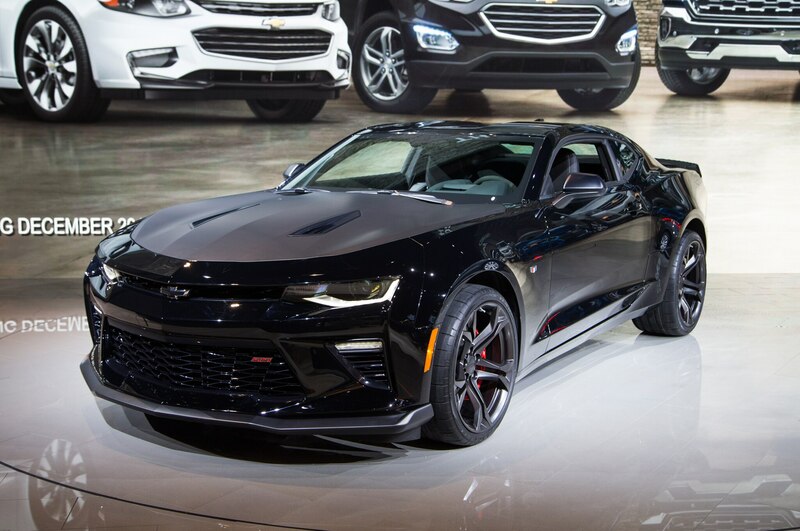 We don’t expect that will change much, but the SS package should be comparatively more expensive than the V-6 one, due to high-end bits like the e-diff and Magnetic Ride Control. 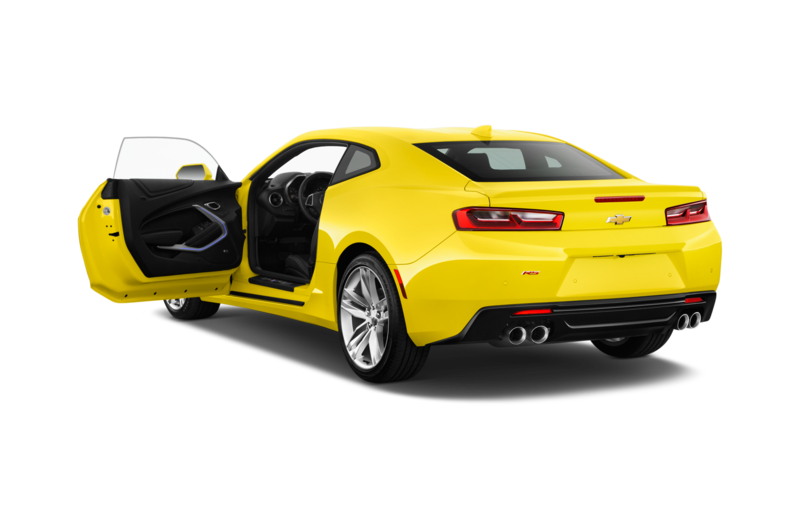 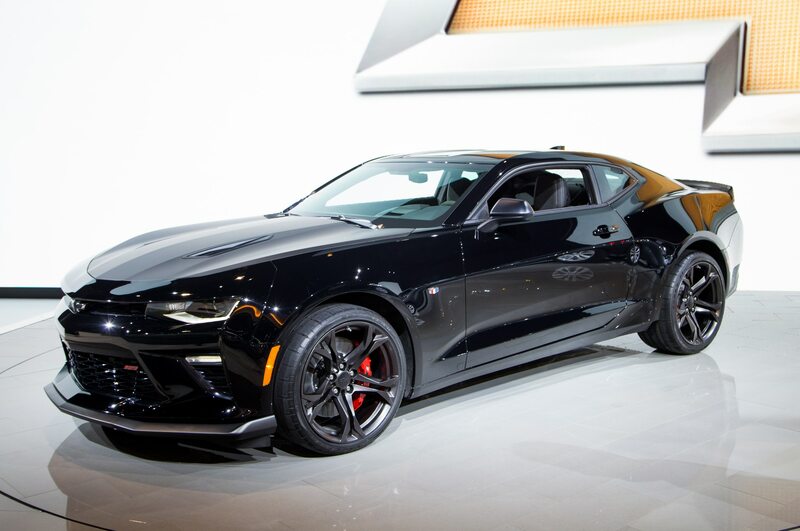 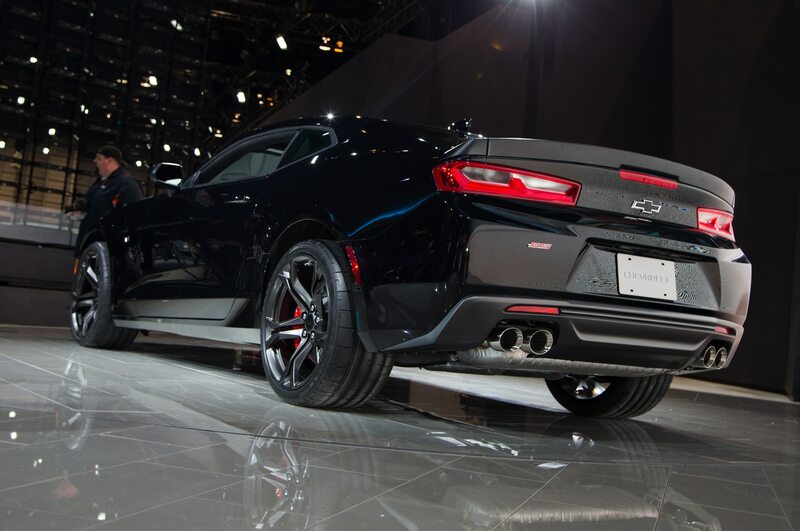 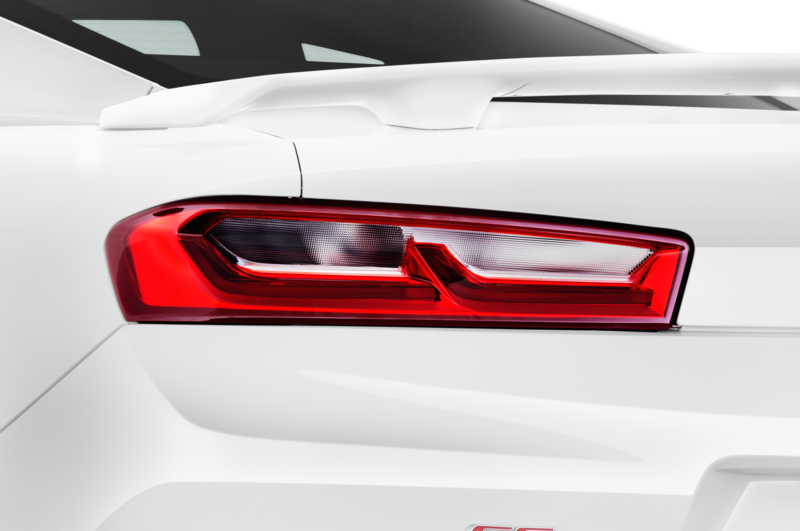 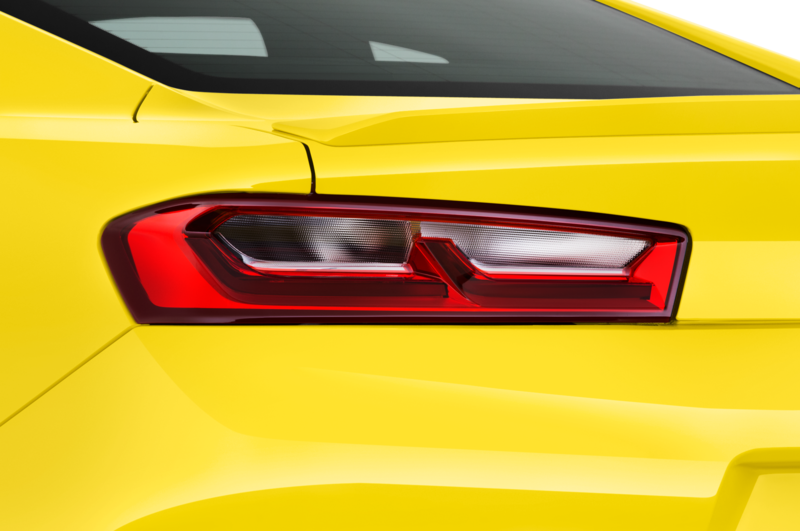 The 2017 Chevrolet Camaro SS 1LE and V-6 1LE will hit showrooms toward the end of 2016. 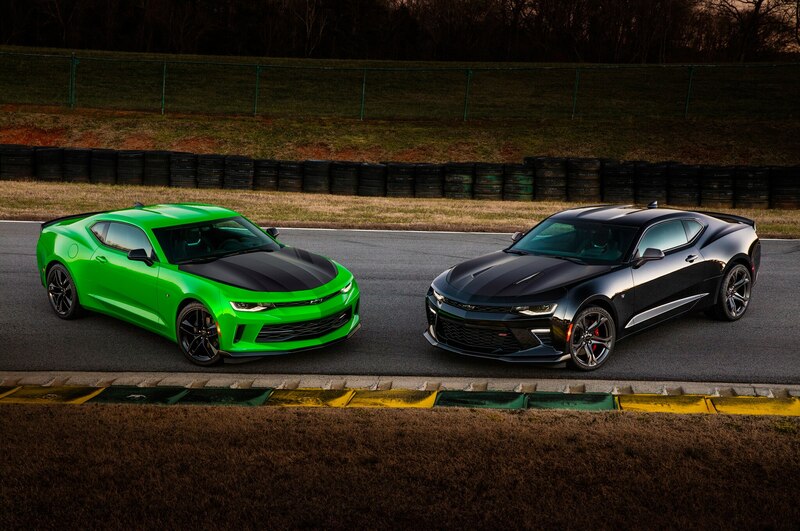 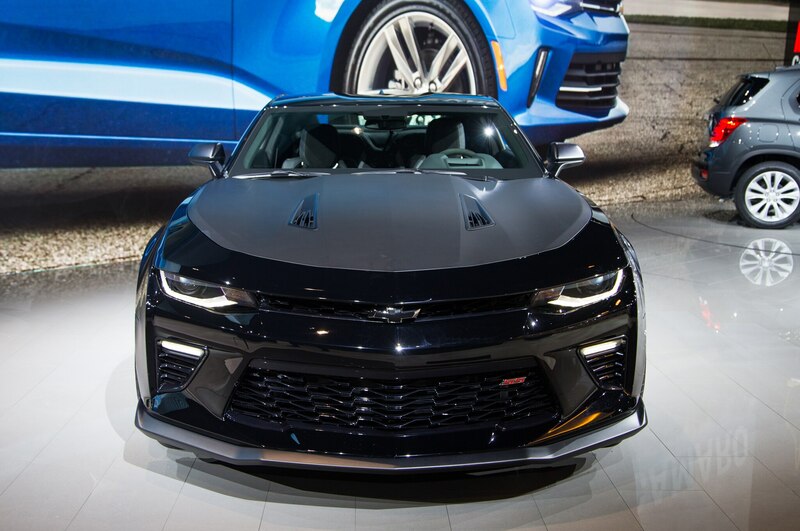 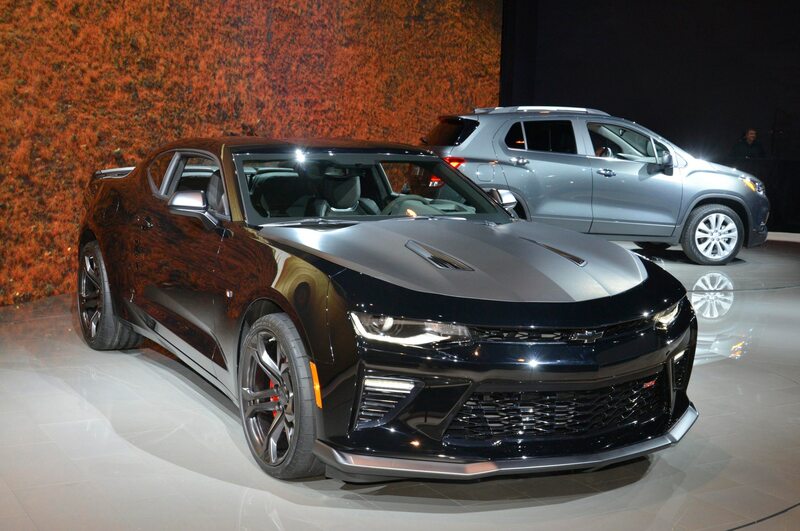 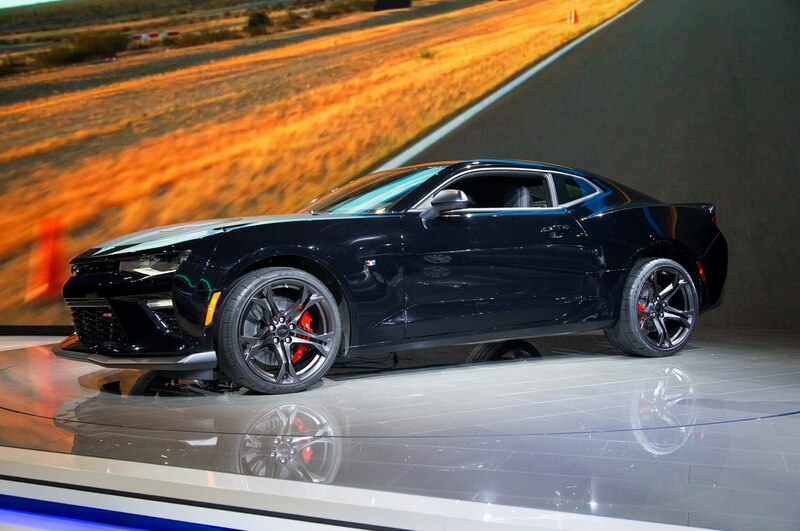 A ZL1 and Z/28 are sure to follow down the line.